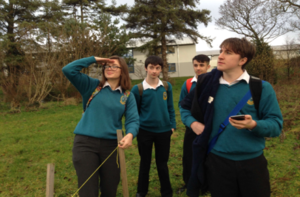 Transition Years Transform our Garden! 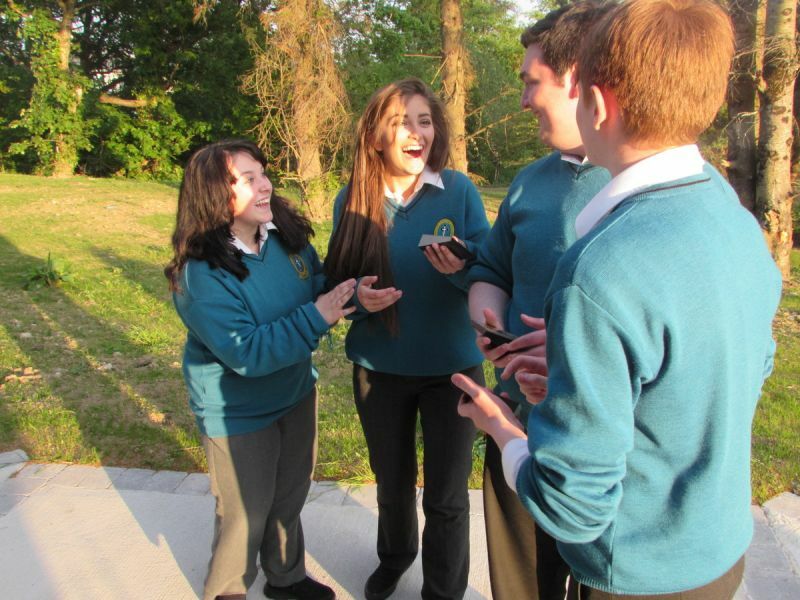 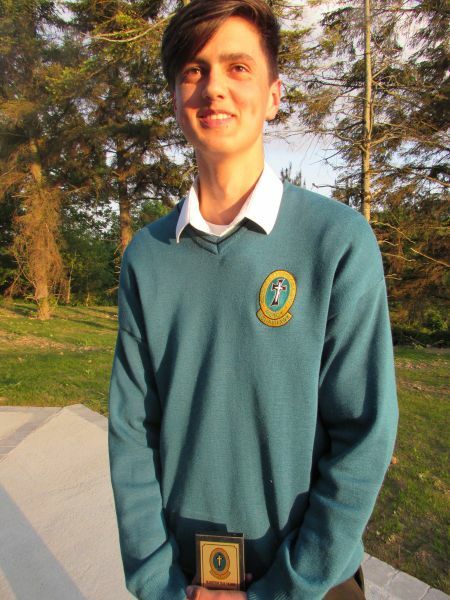 Ty students are active members of our school Community. 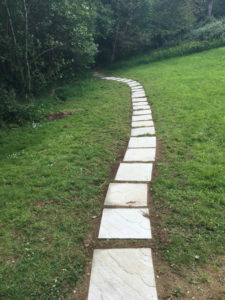 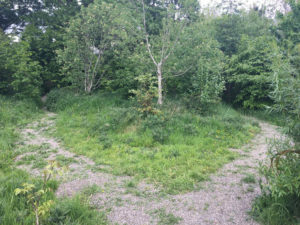 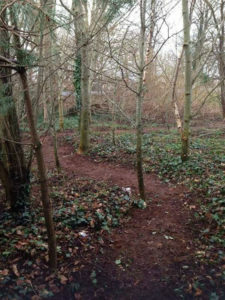 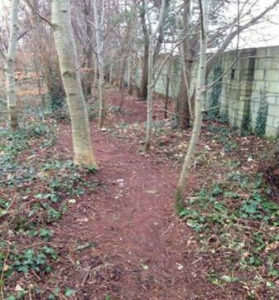 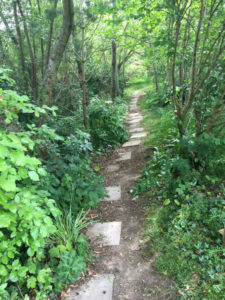 As active agents of change, the TY horticulture group created a pathway that would be a permanent fixture in the school. 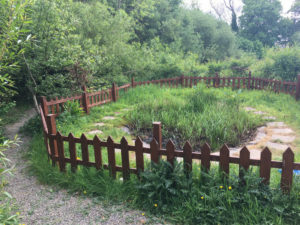 The called it a ‘Living Classroom’ and it is a place where students and staff can relax and get some fresh air for their own mental wellbeing. 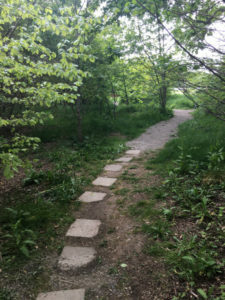 At the same time people can read information about the Global Goals for human development The path is over 300m long and consists of metal plaques with various global goals on them. 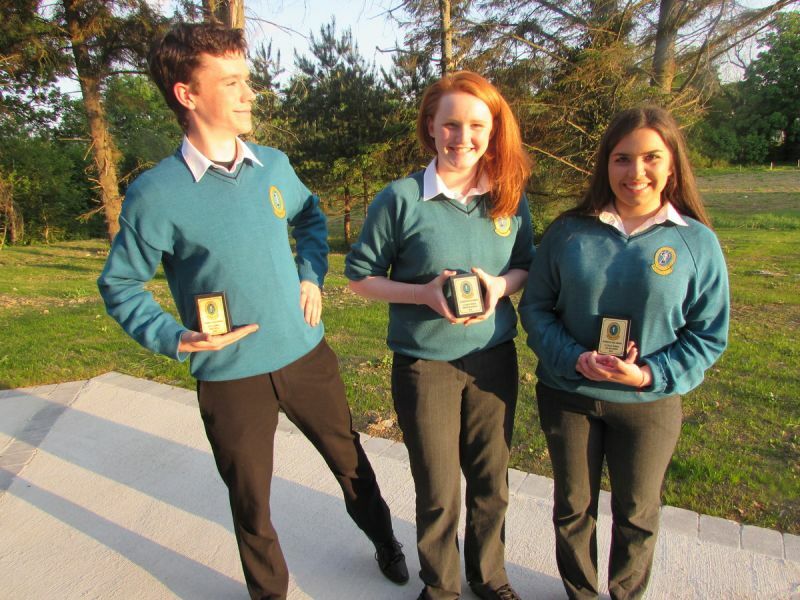 Accompanying the plaques are art designs and sculptures made out of recyclable materials. 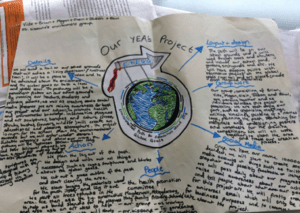 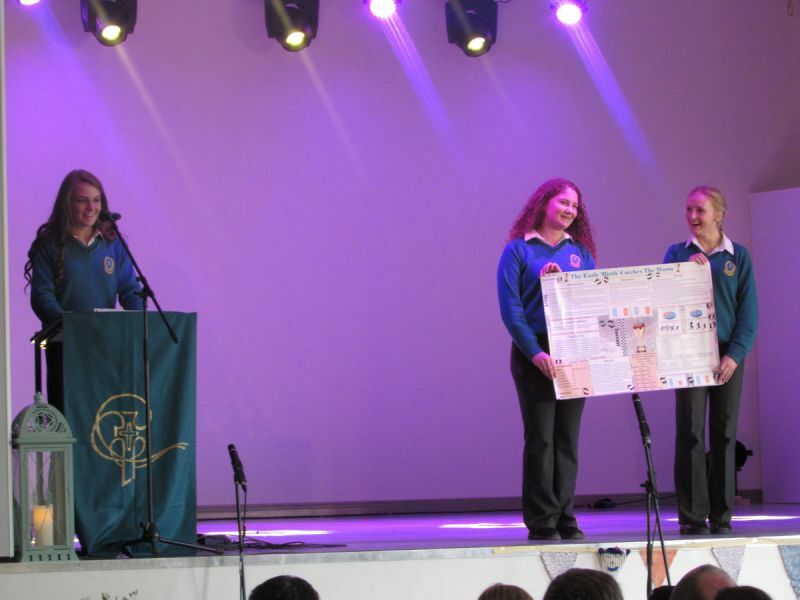 This project was called L.E.A.F, or ‘Leading Environmental Awareness Further’ and the TYs are definitely leading environmental awareness further. 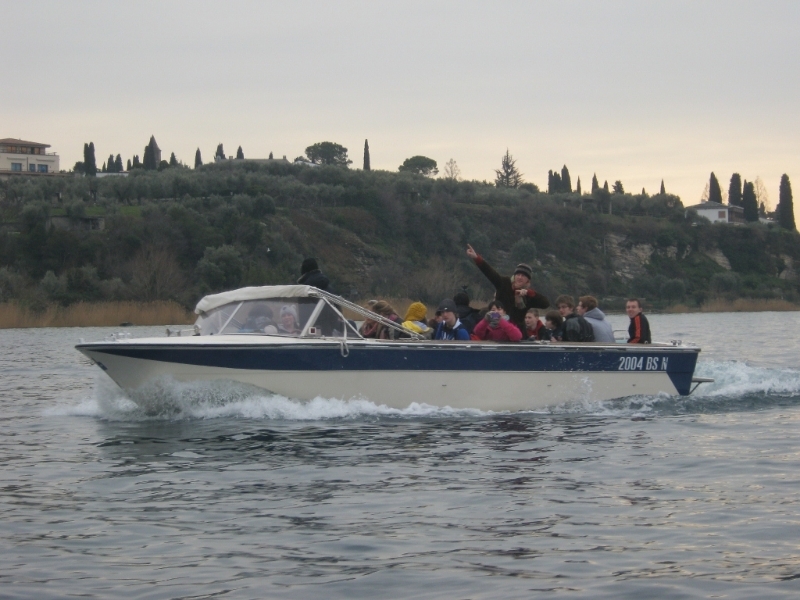 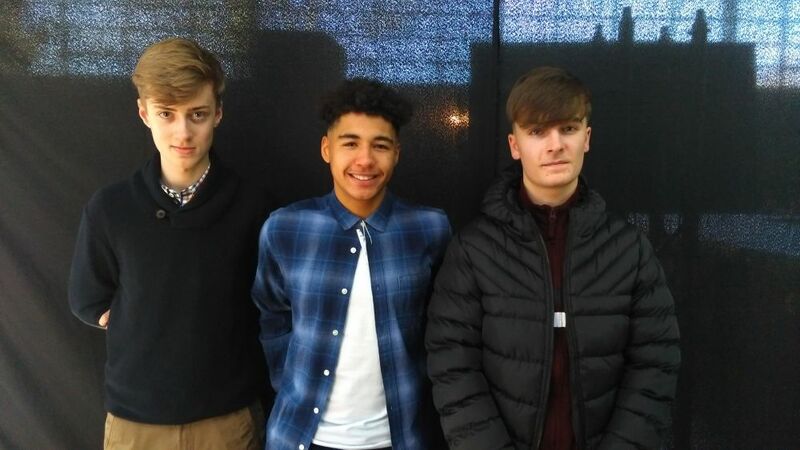 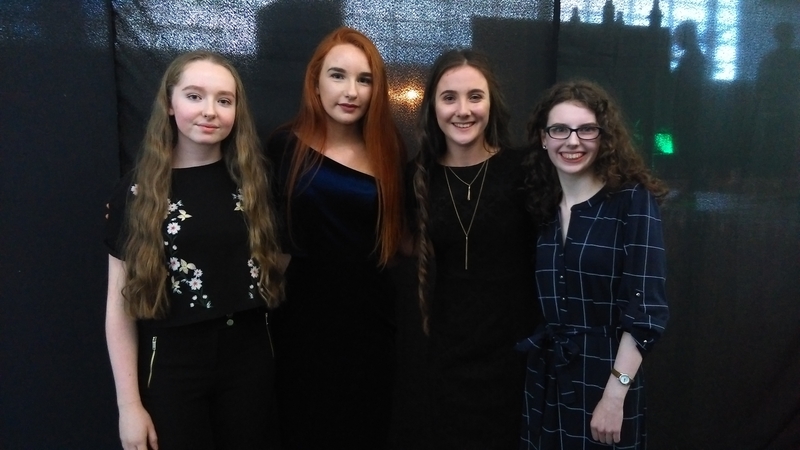 This project has reached the final of the Young Environmentalist Awards 2018 and it needs your votes to have a chance of winning in the competition. 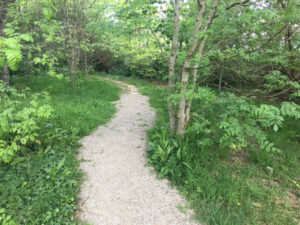 The students worked very hard through the year on what has become a very significant project that not only improves the grounds in the school but has educational import as well. 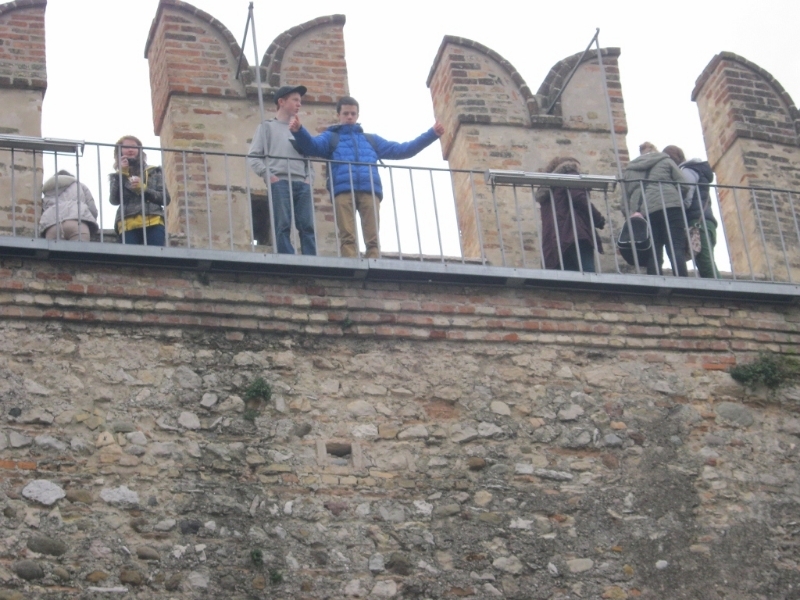 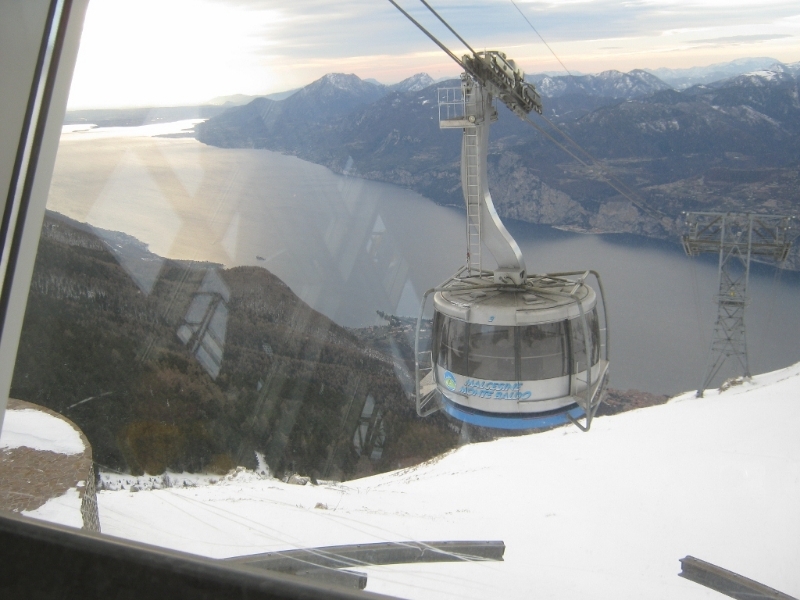 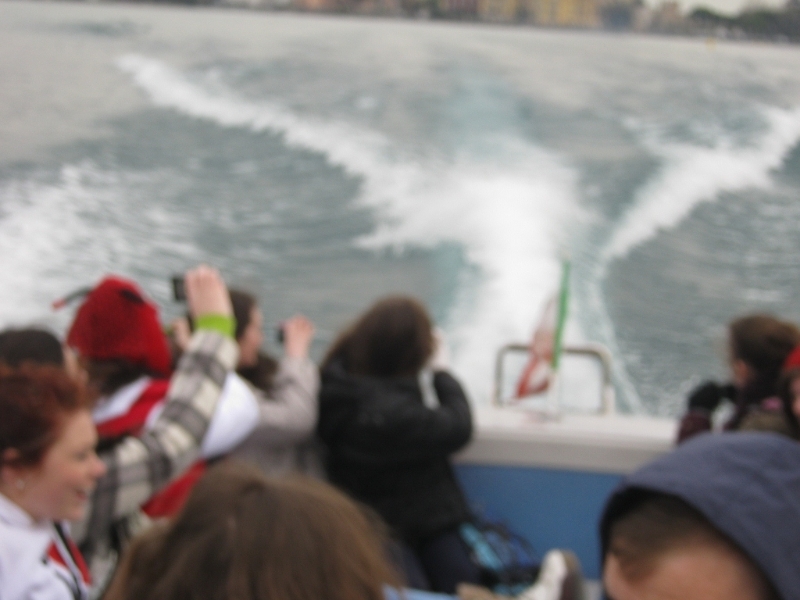 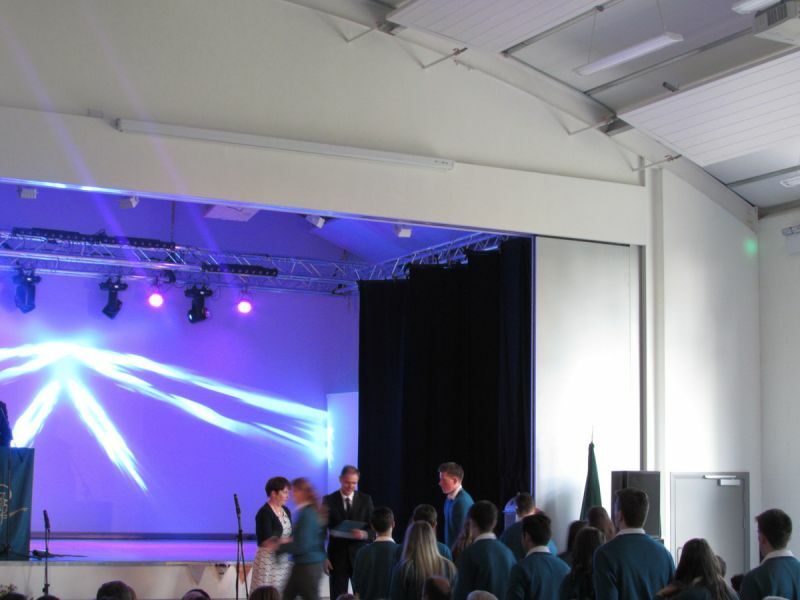 It was a bleak start at the beginning of the Year…. 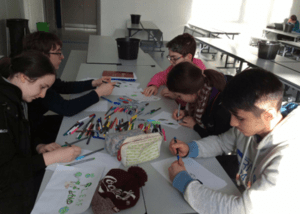 And a bit of planning on paper of course…. 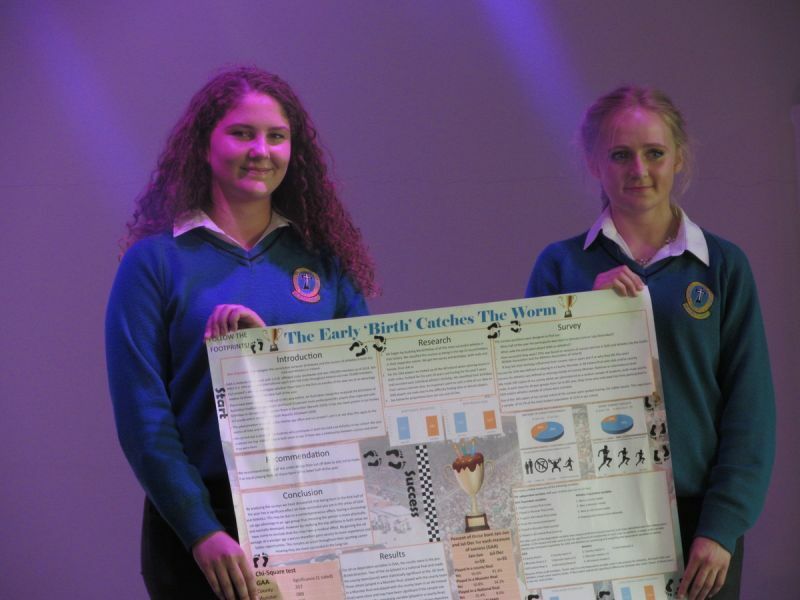 but the results are just great…. 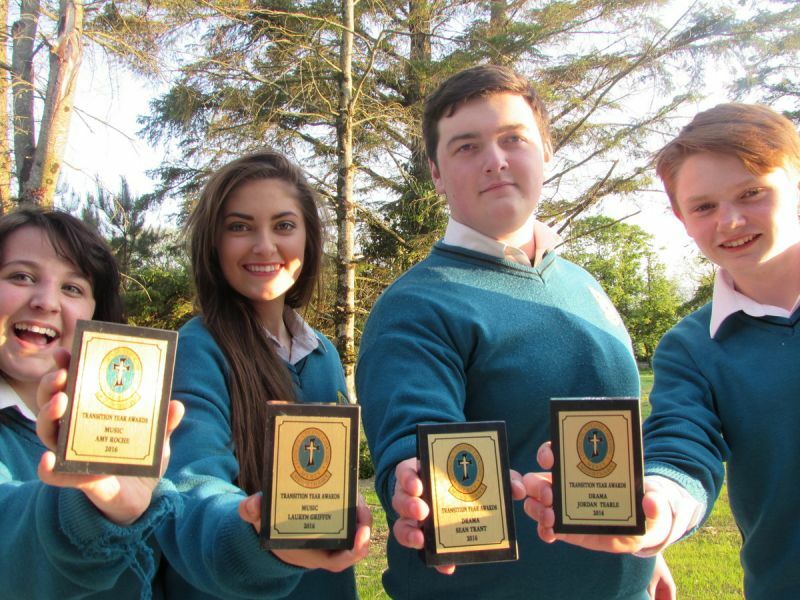 WELL DONE TO THE L.E.A.F. 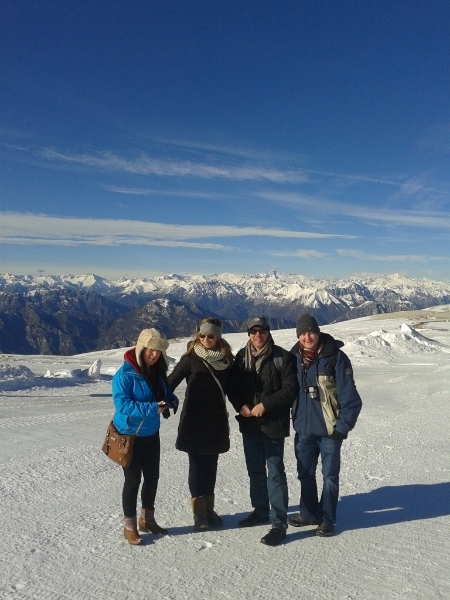 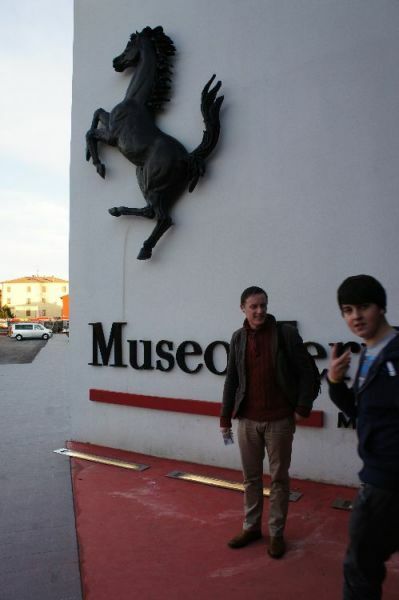 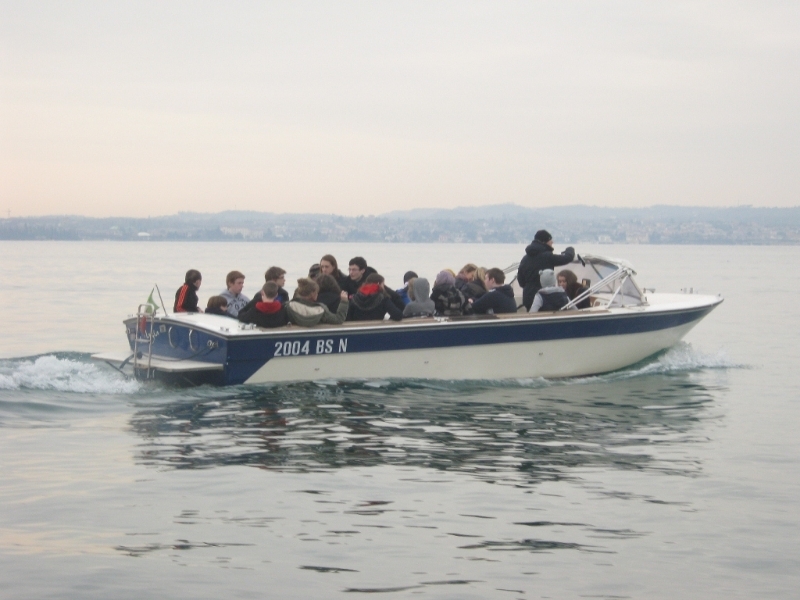 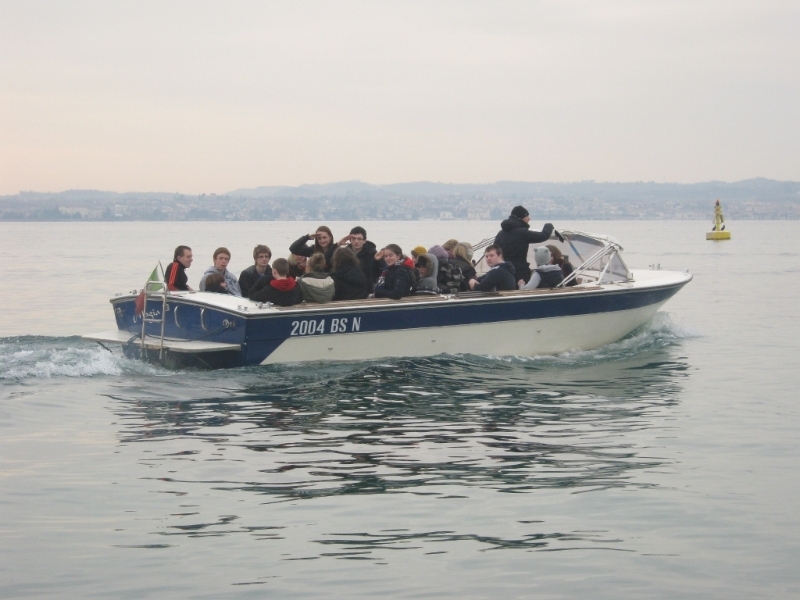 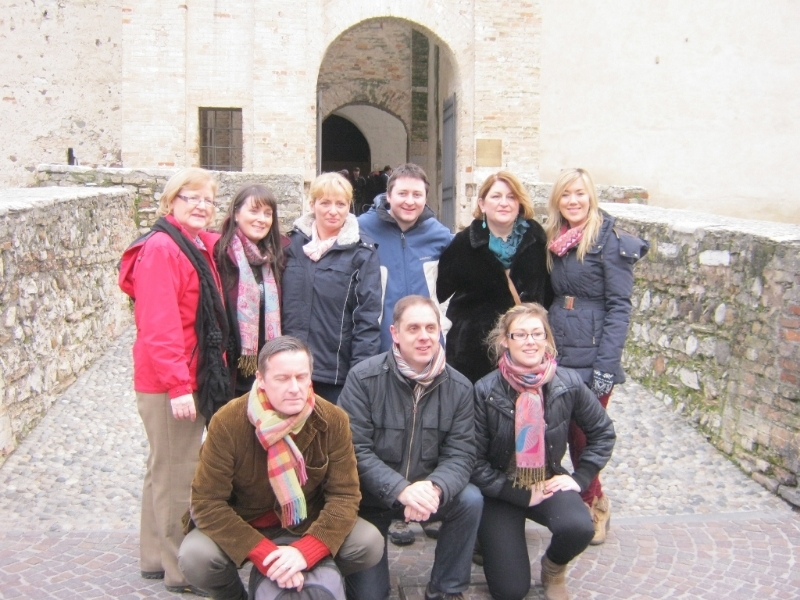 TEAM …. 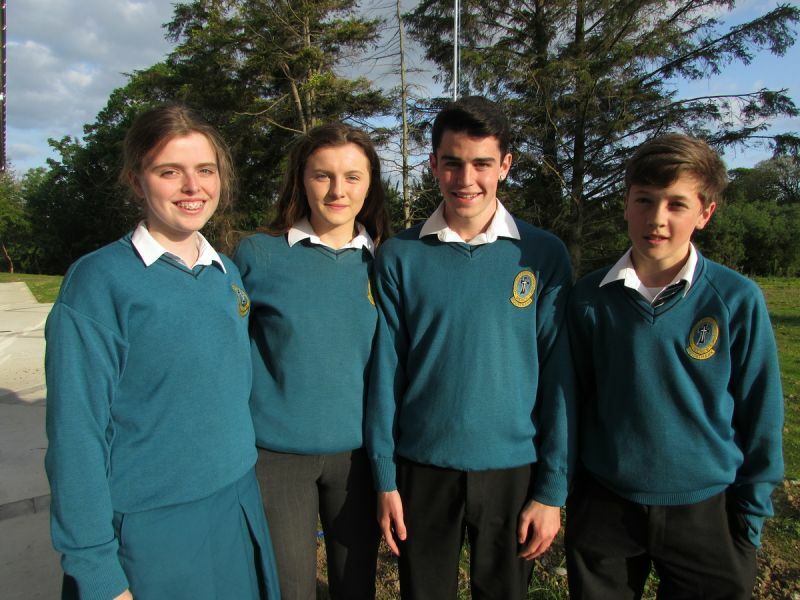 Hawk Talk is a new newscast by the TY Class of 4.3. 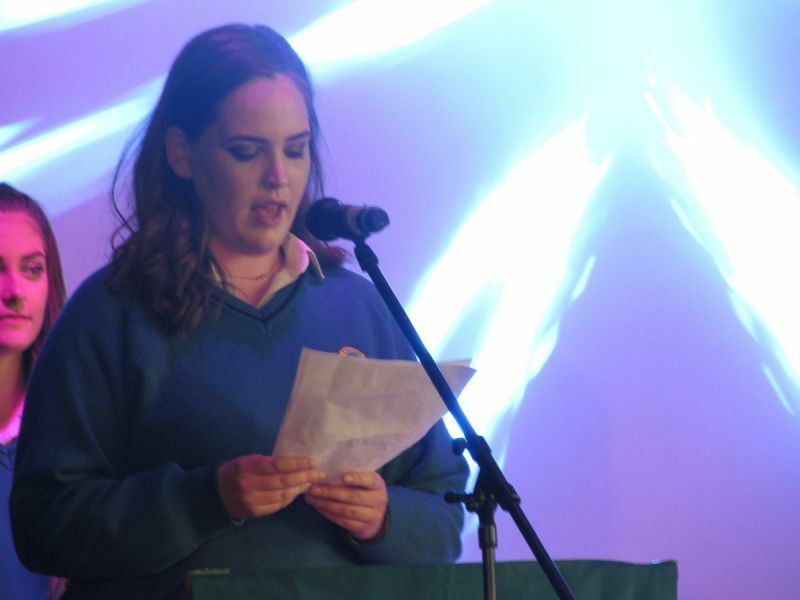 Hawk Talk is a current affairs broadcast, capturing all the goings of our school community in Mercy Secondary School Mounthawk. 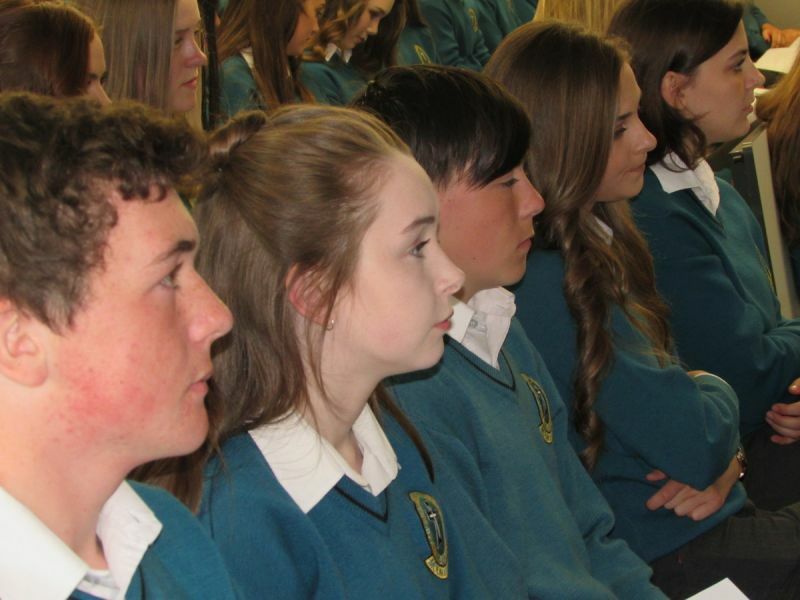 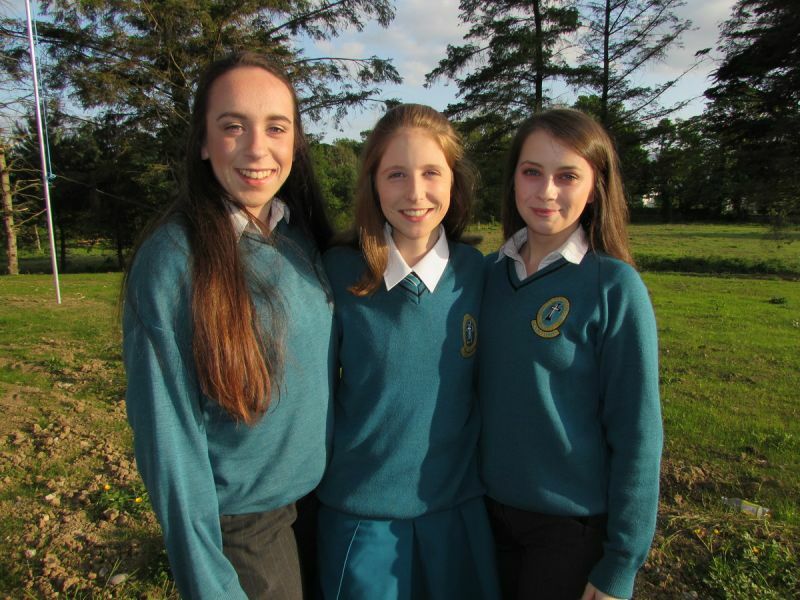 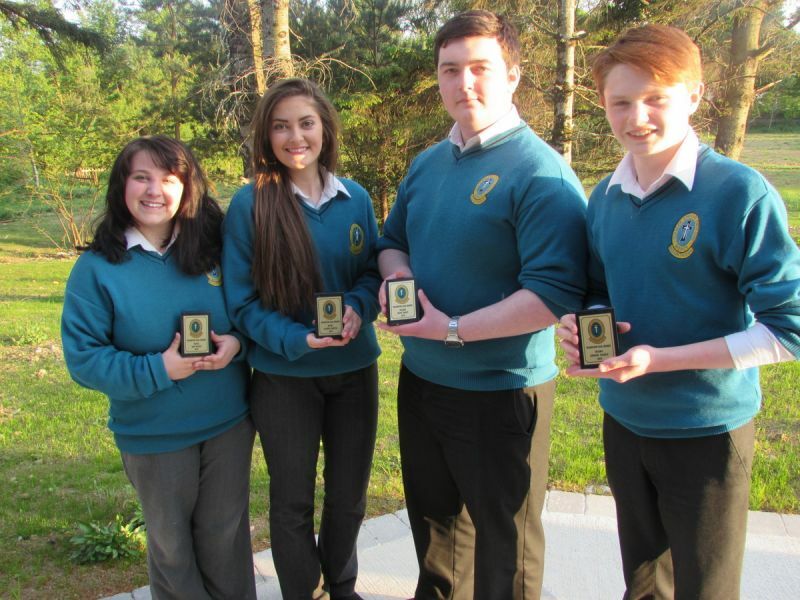 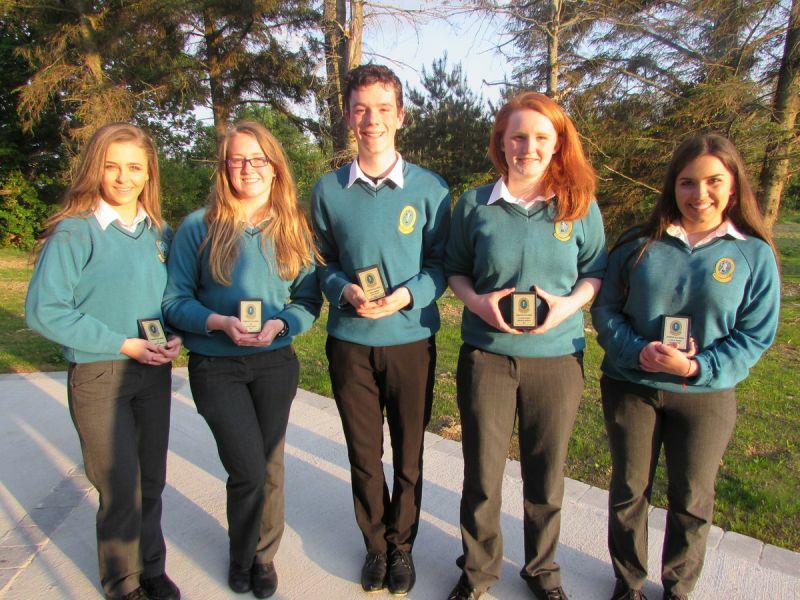 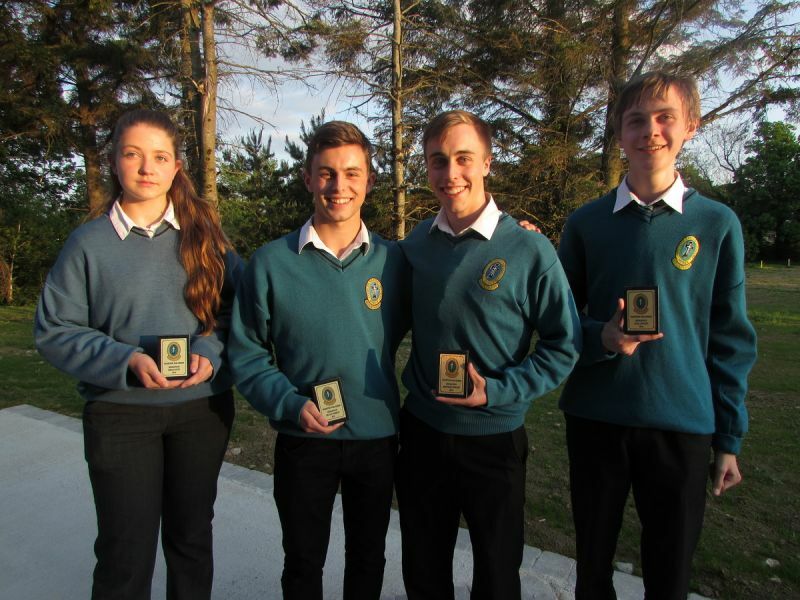 The Transition Year Students of Mercy Secondary School, Mounthawk, travelled to Cork to participate in the Eco-Unesco Eco Dens competition. 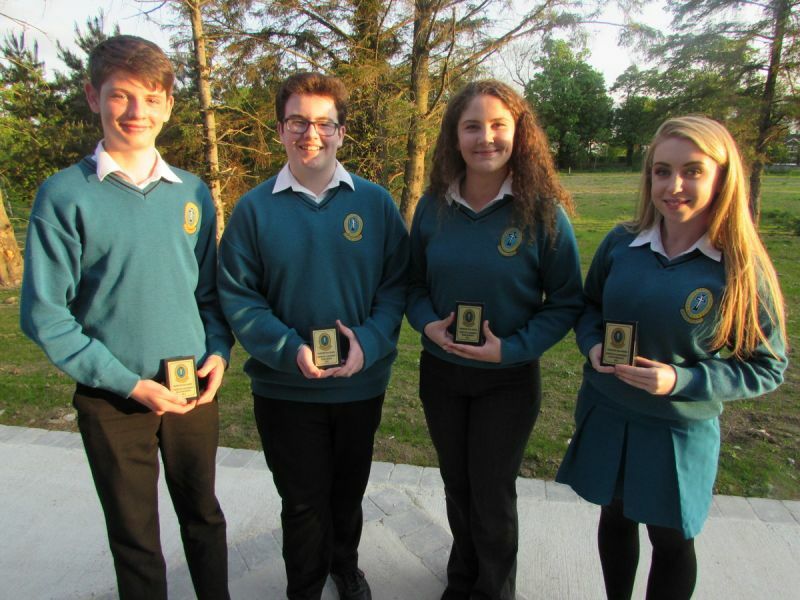 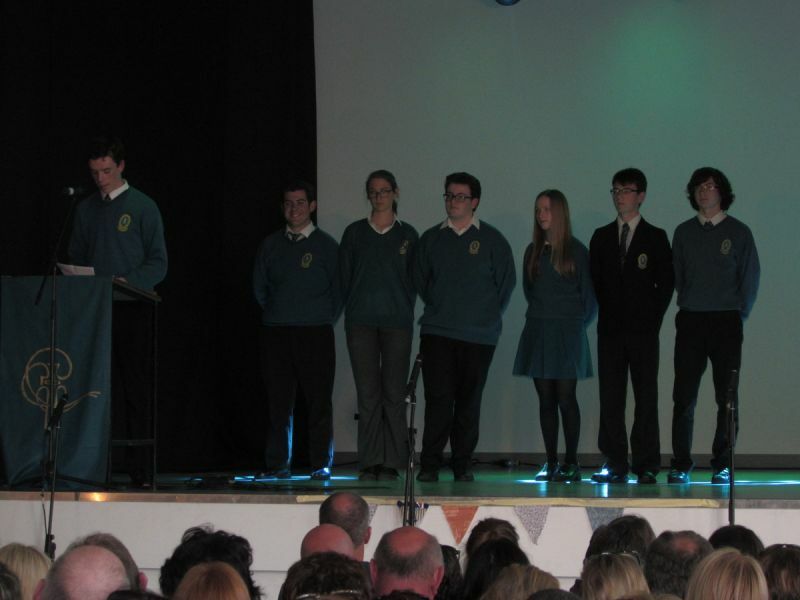 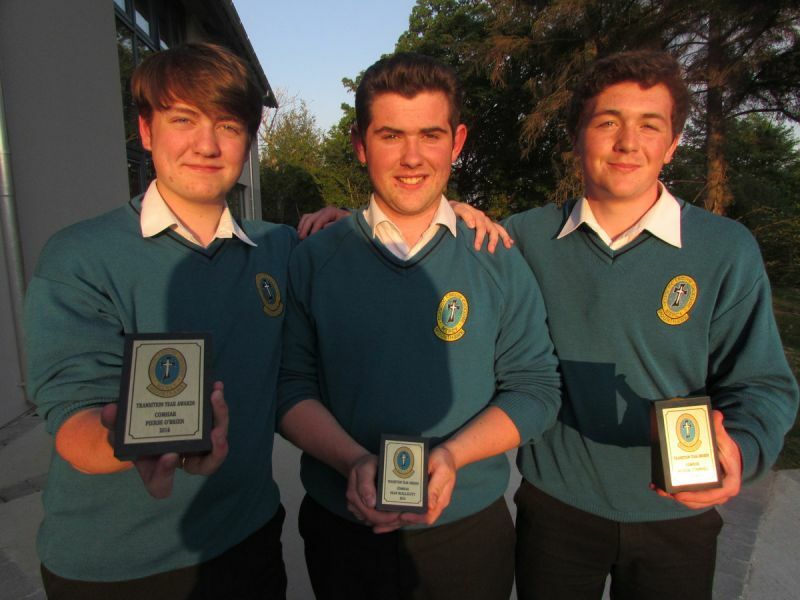 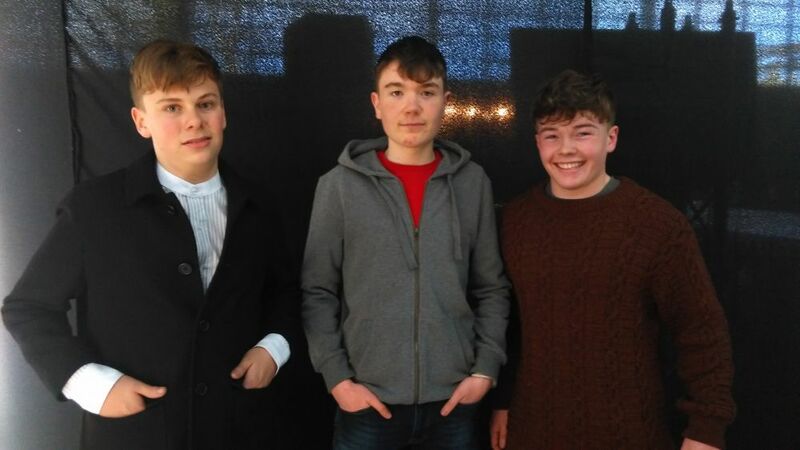 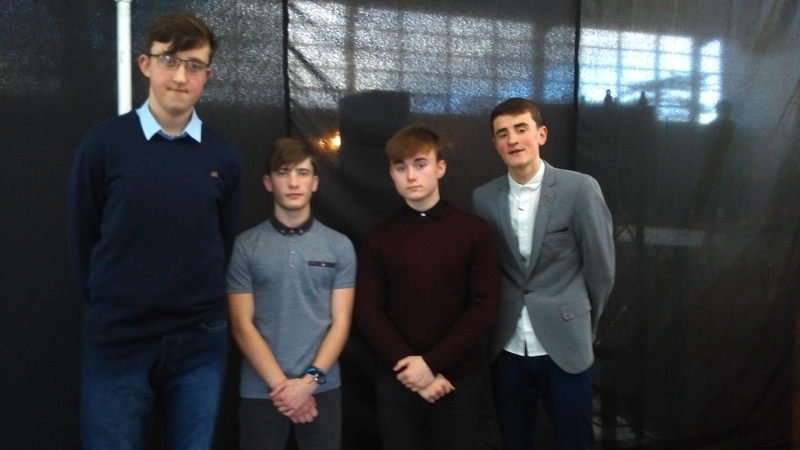 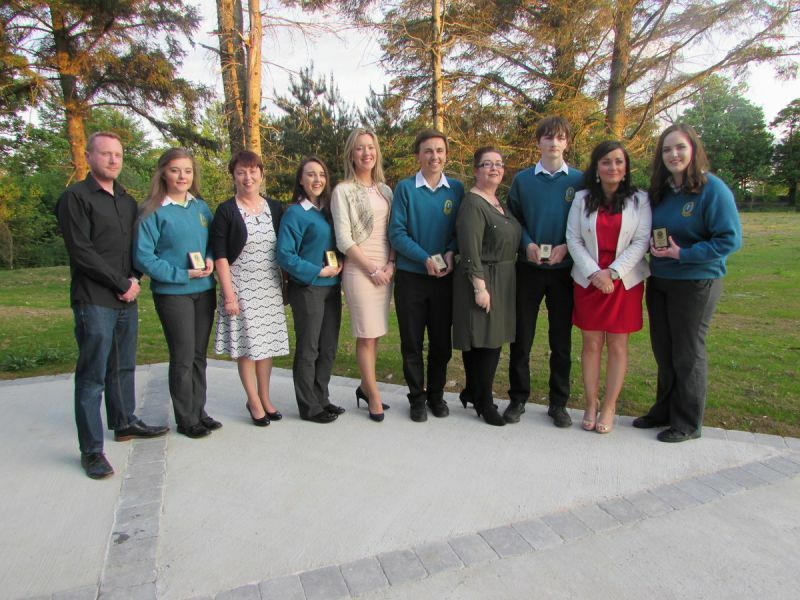 This was the Munster round and five of our teams spoke to the adjudicators. 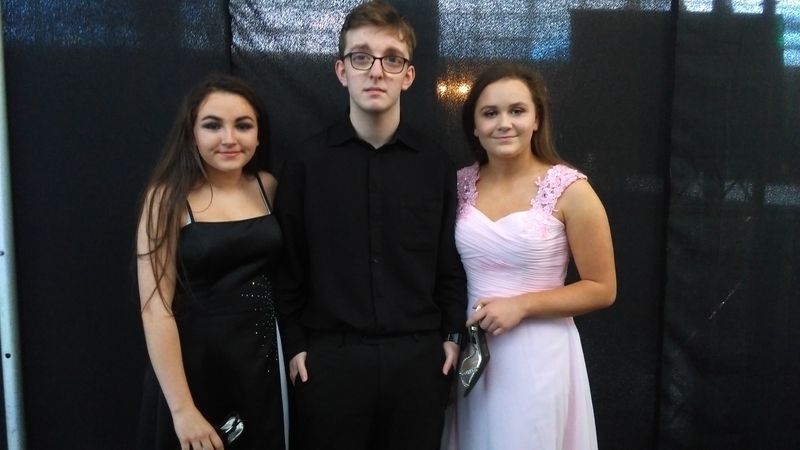 It was an excellent day and they anxiously await the results! 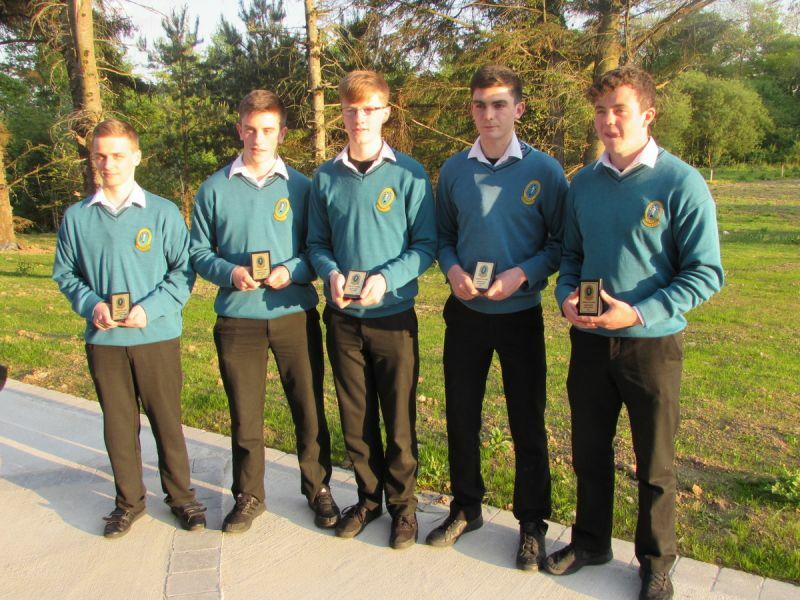 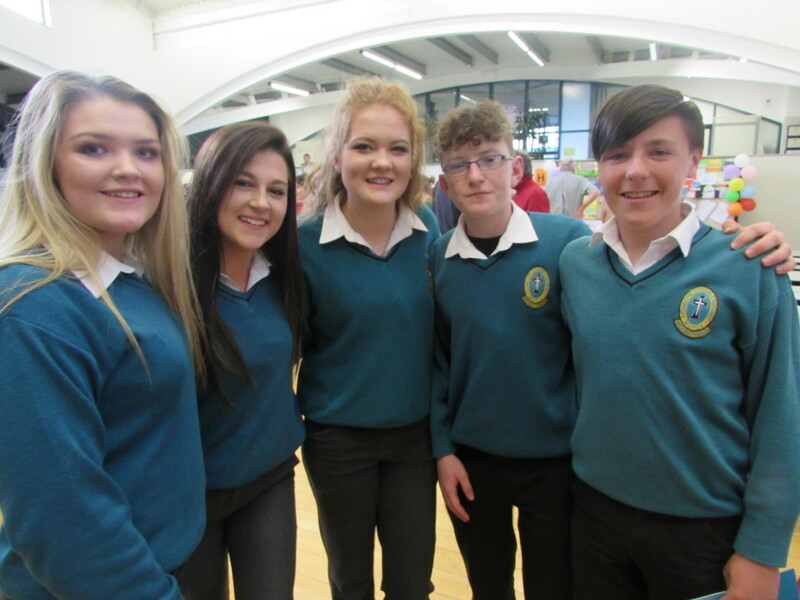 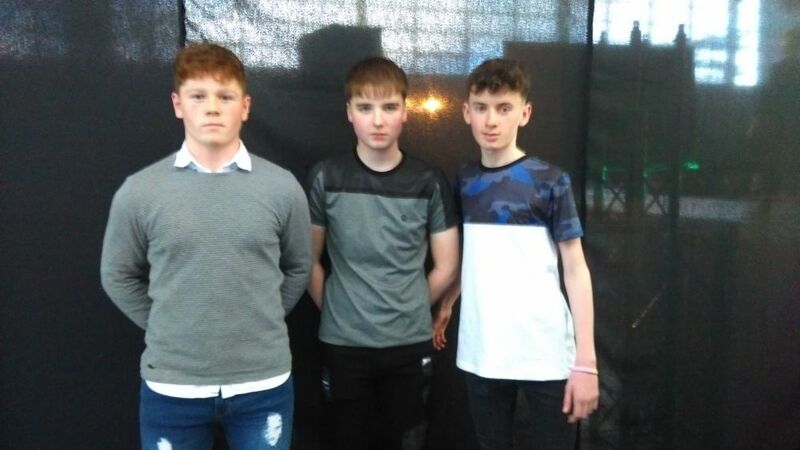 The TY students of Mercy Secondary School, Mounthawk, as part of their YSI initiative, organised a sports day for the neighbouring schools TY students. 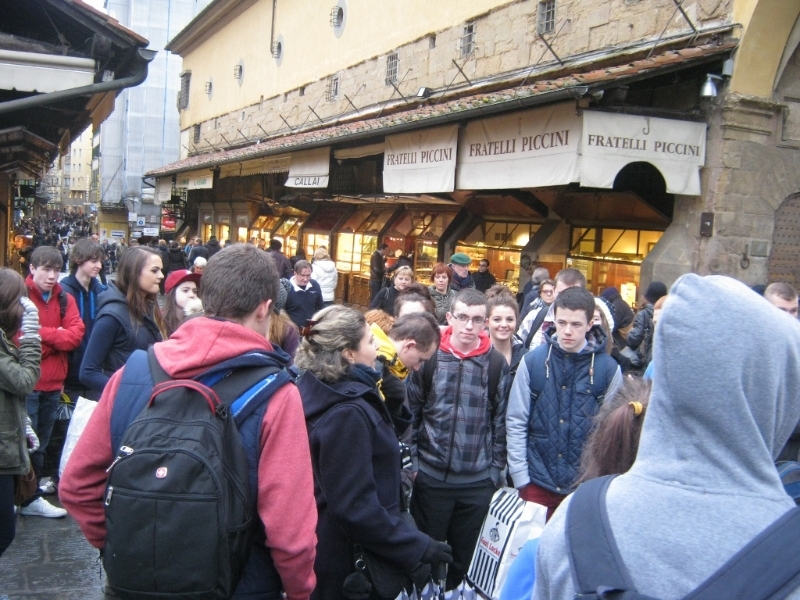 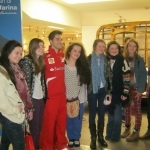 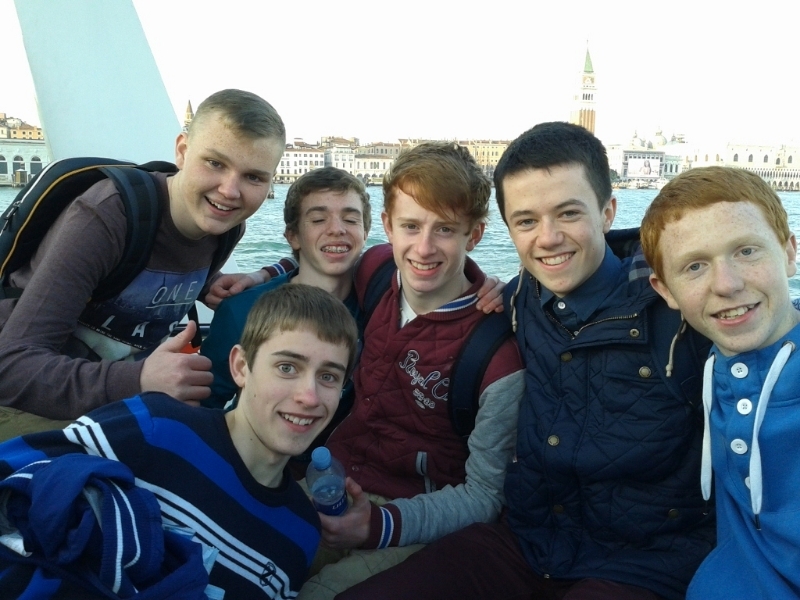 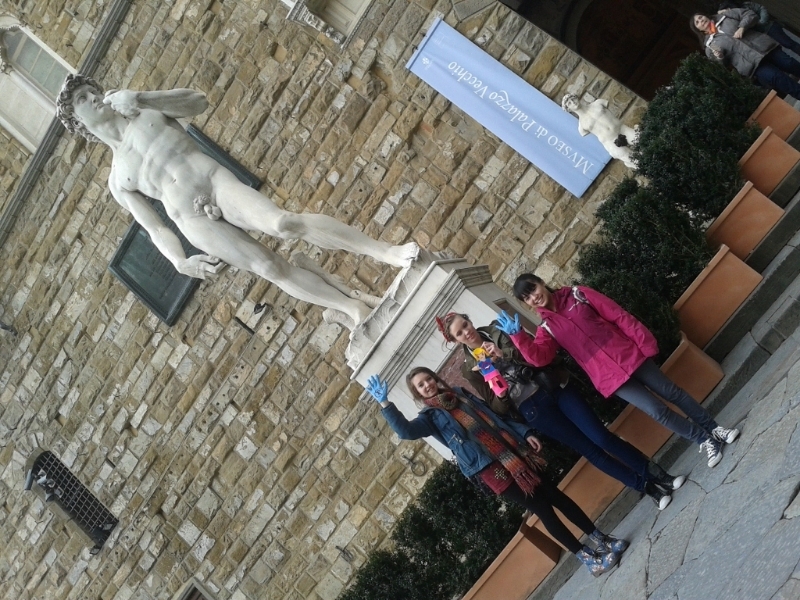 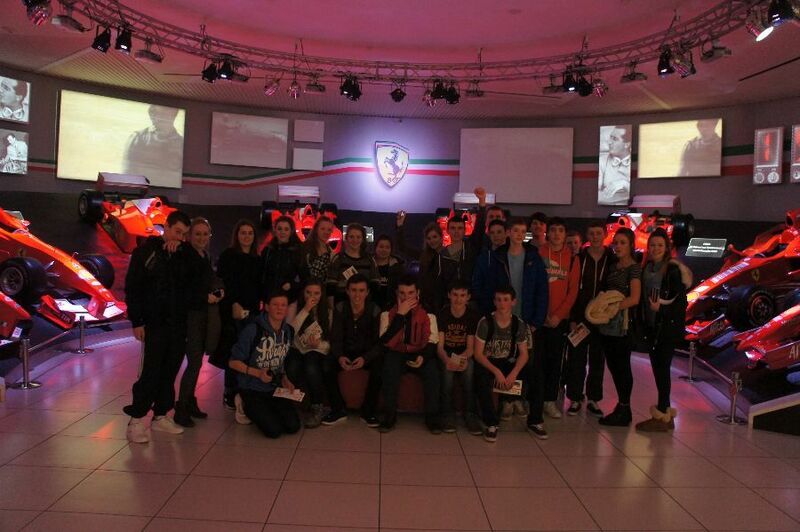 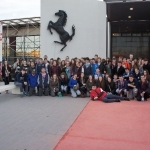 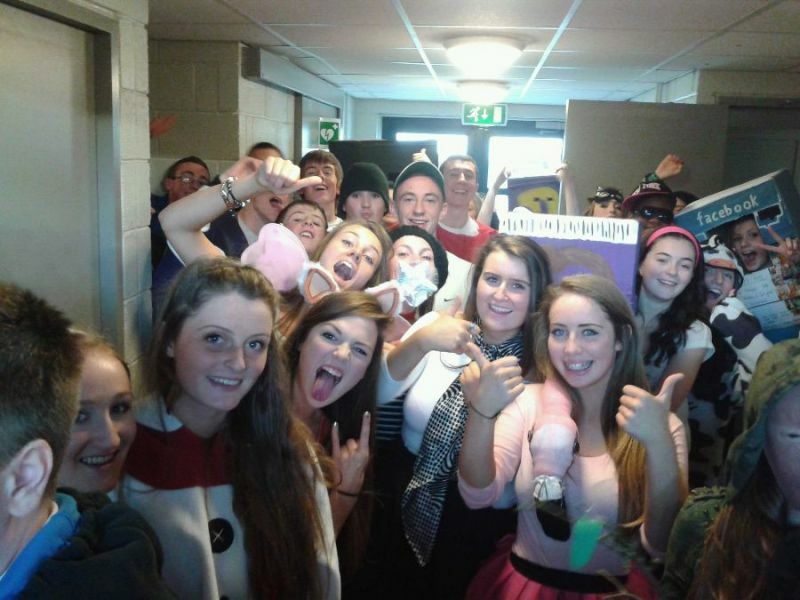 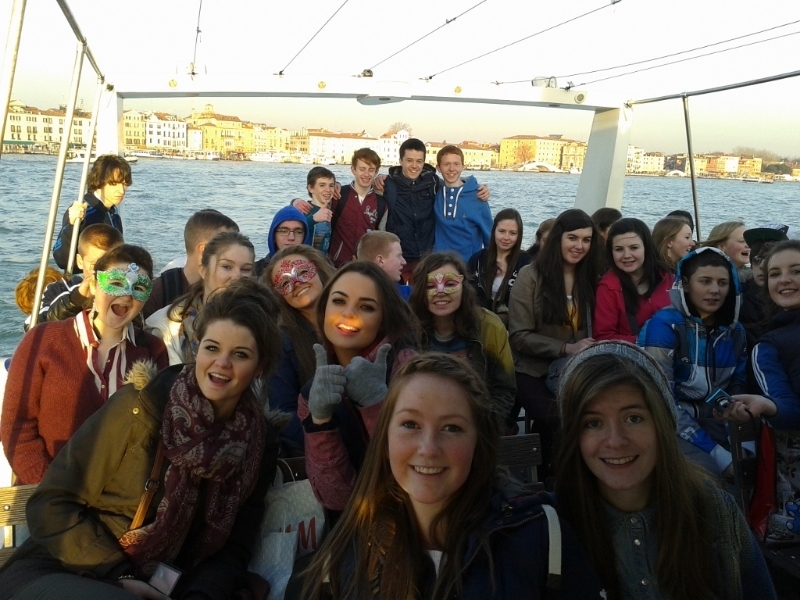 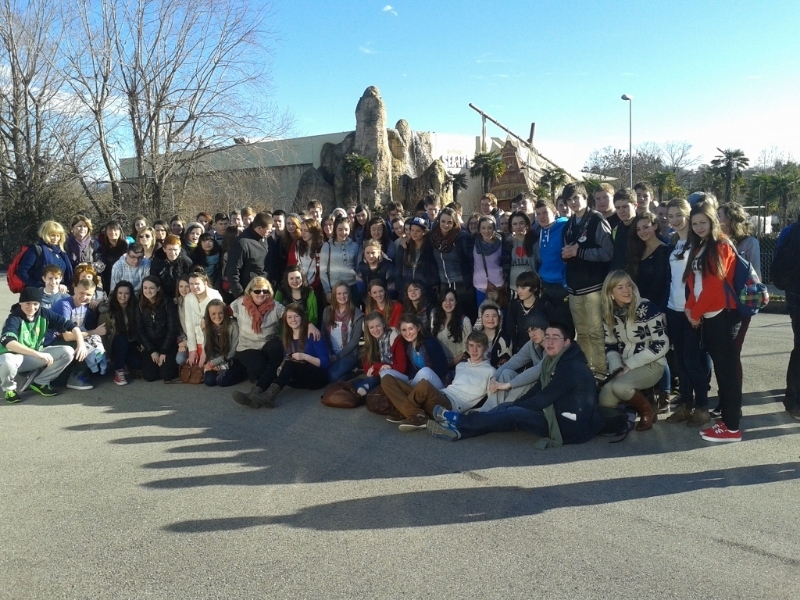 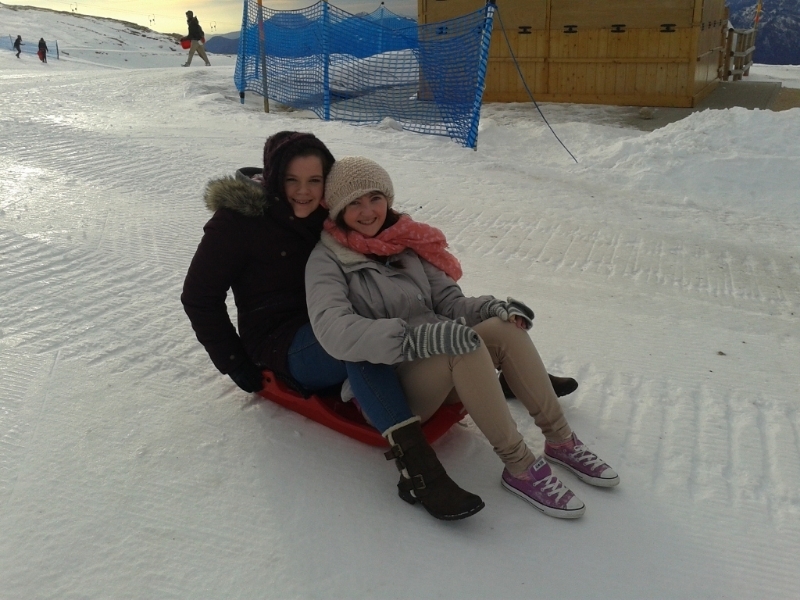 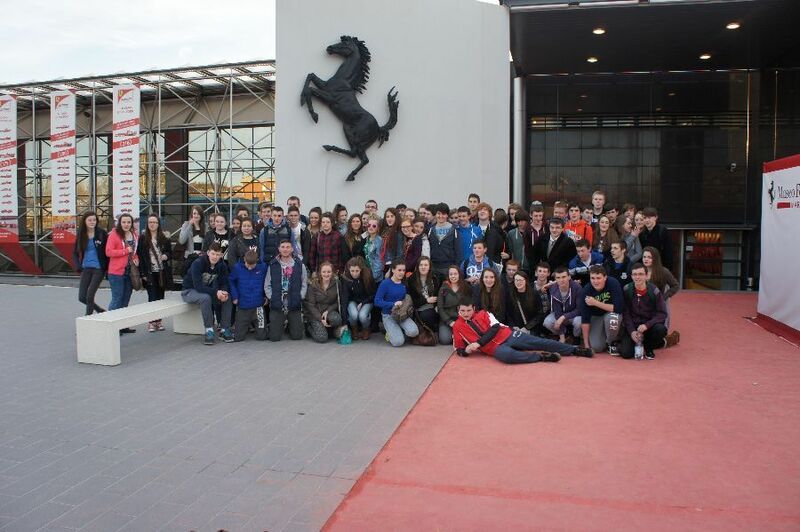 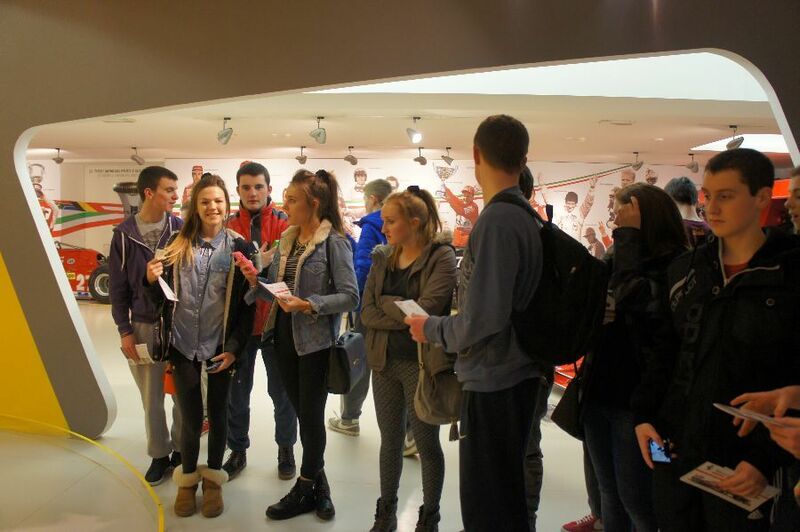 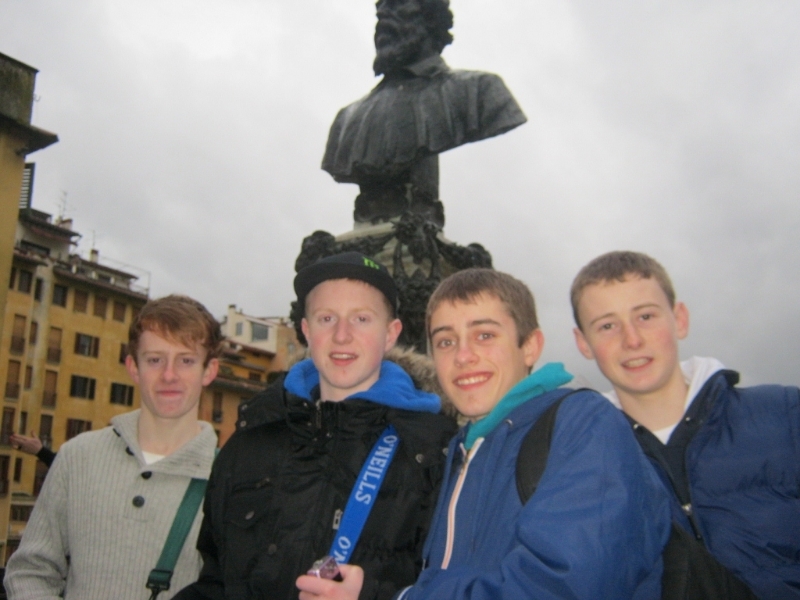 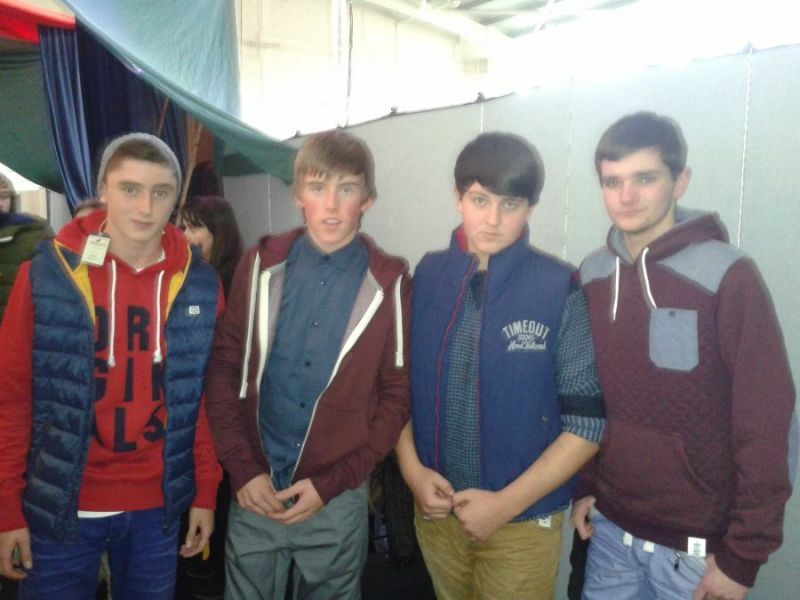 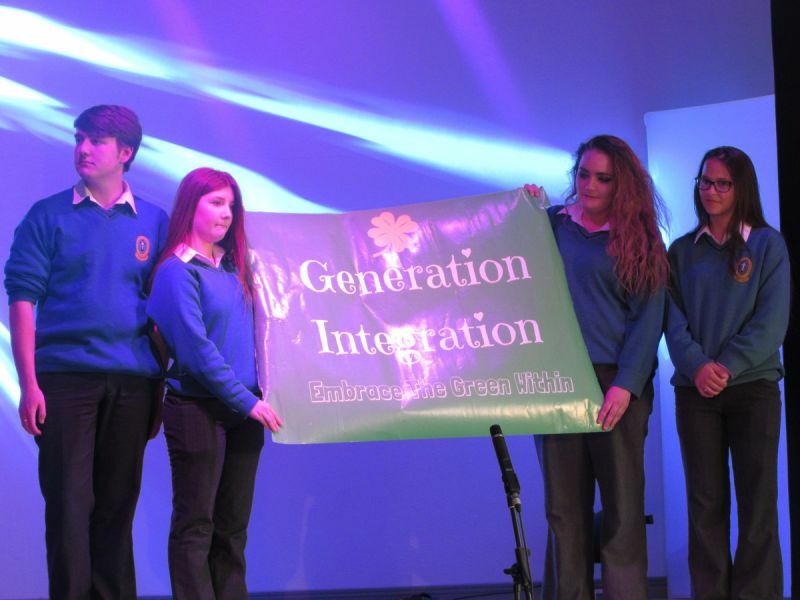 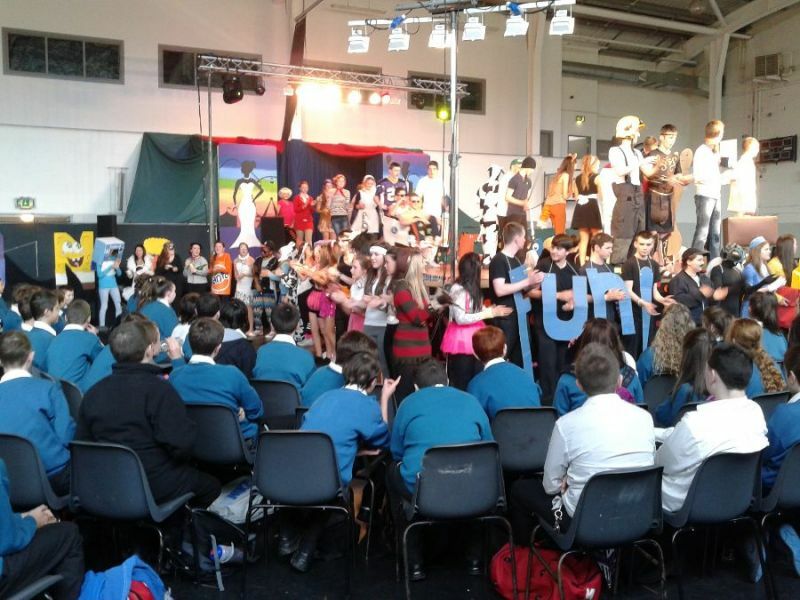 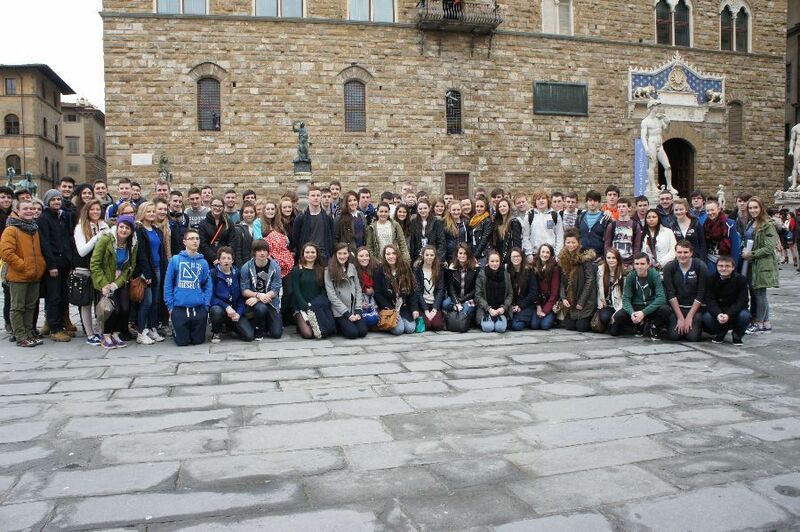 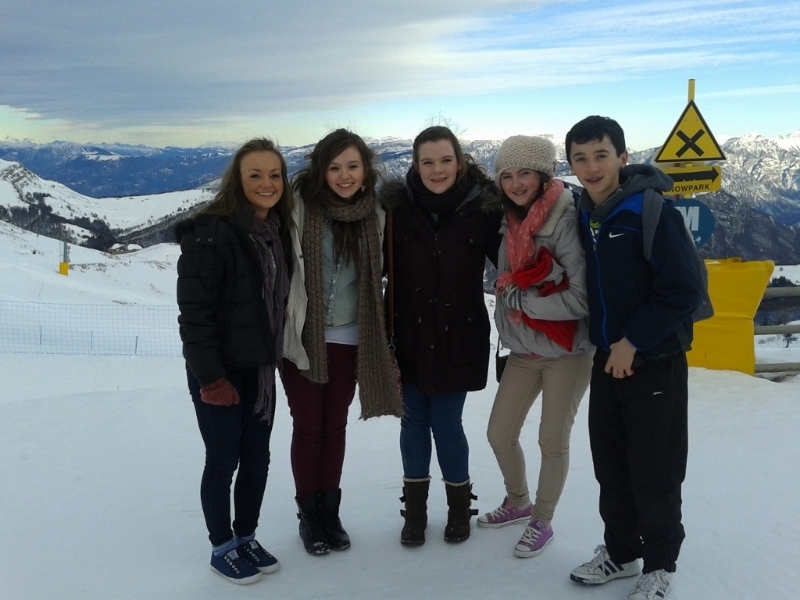 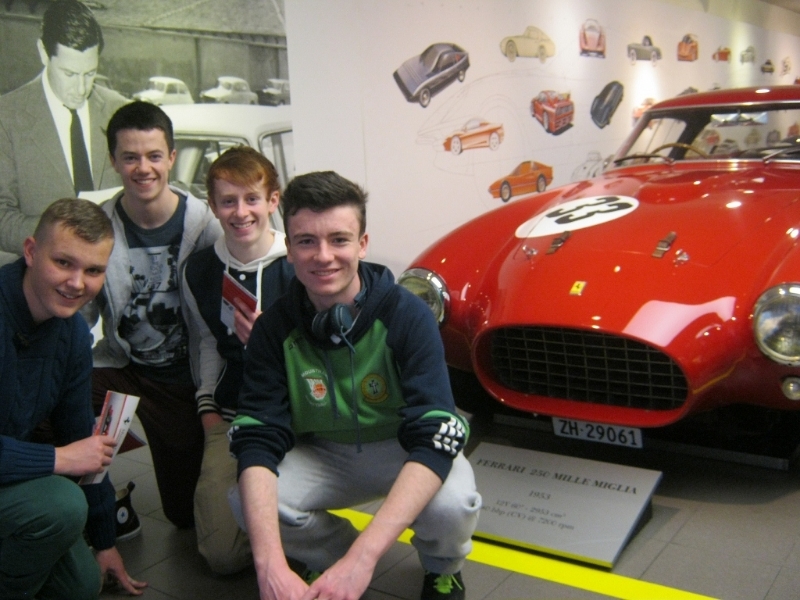 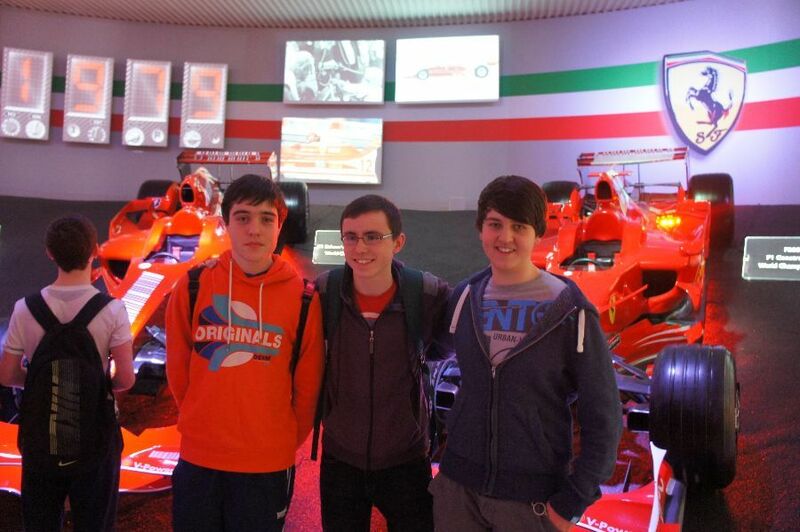 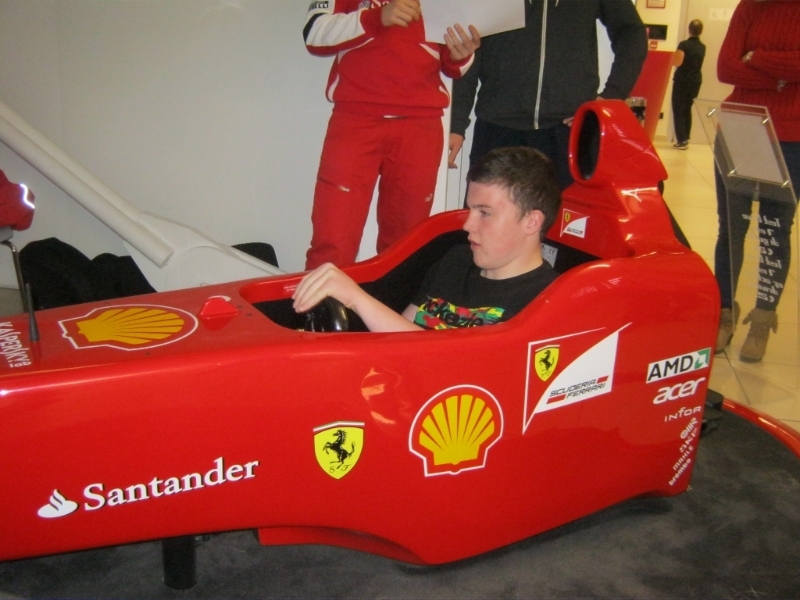 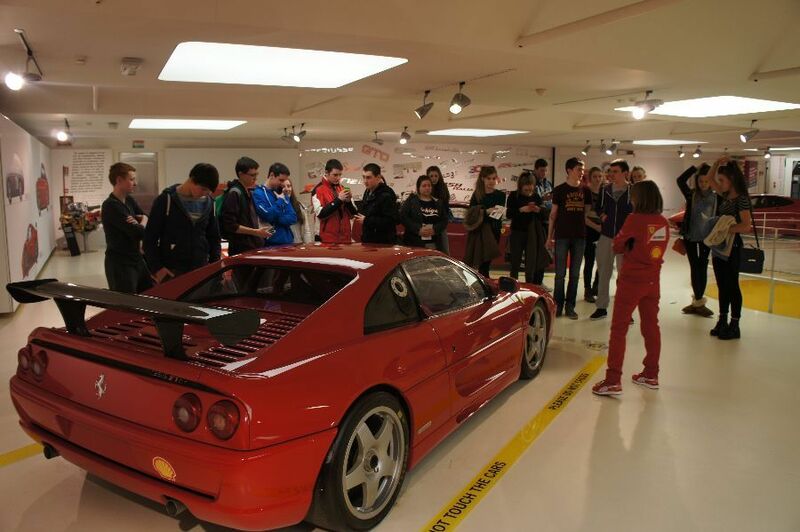 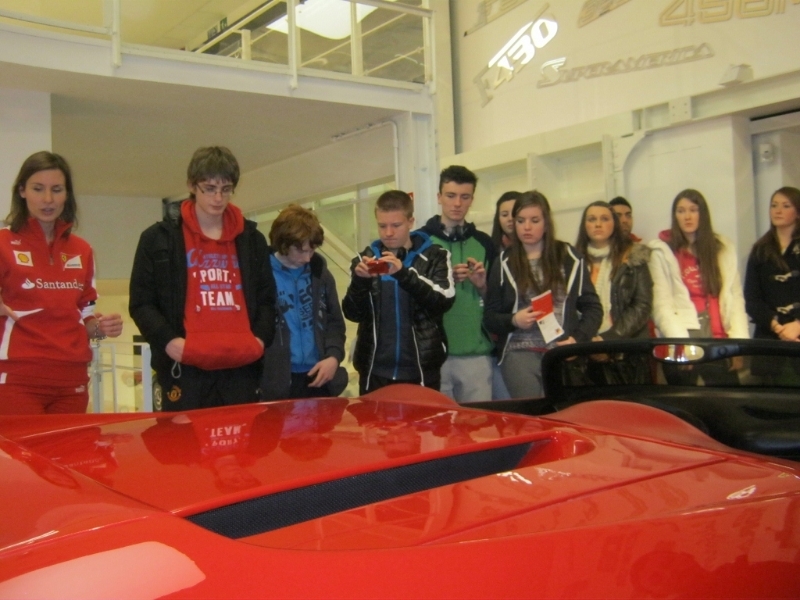 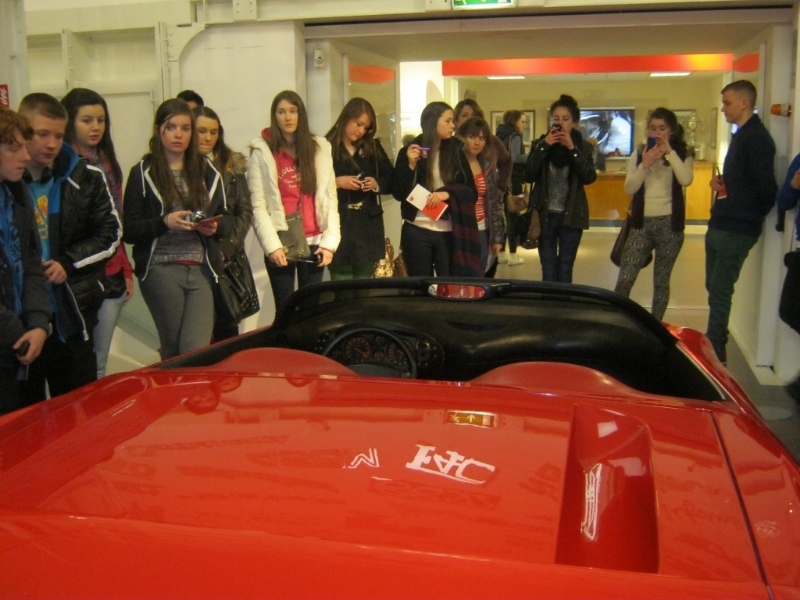 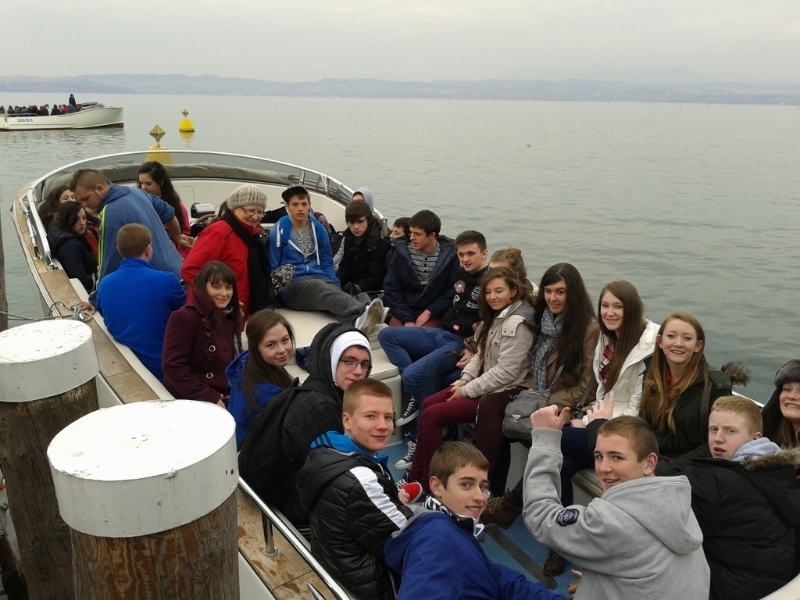 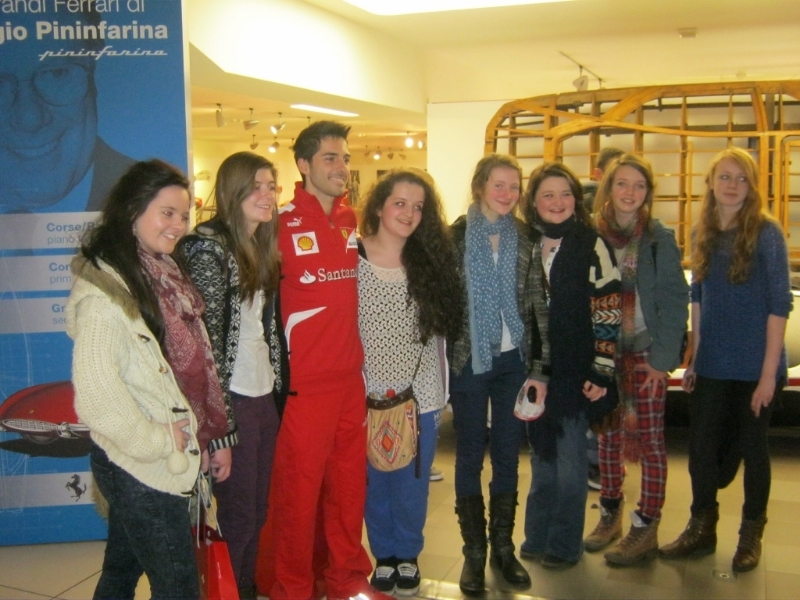 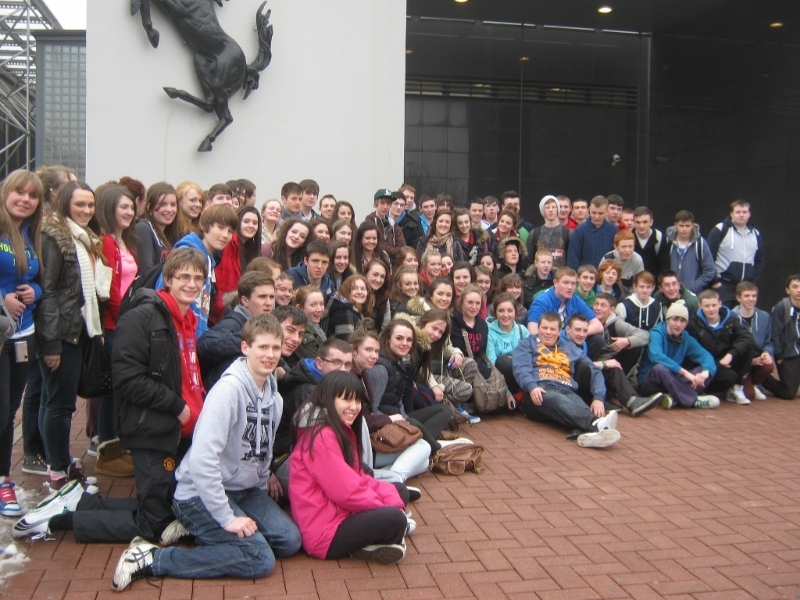 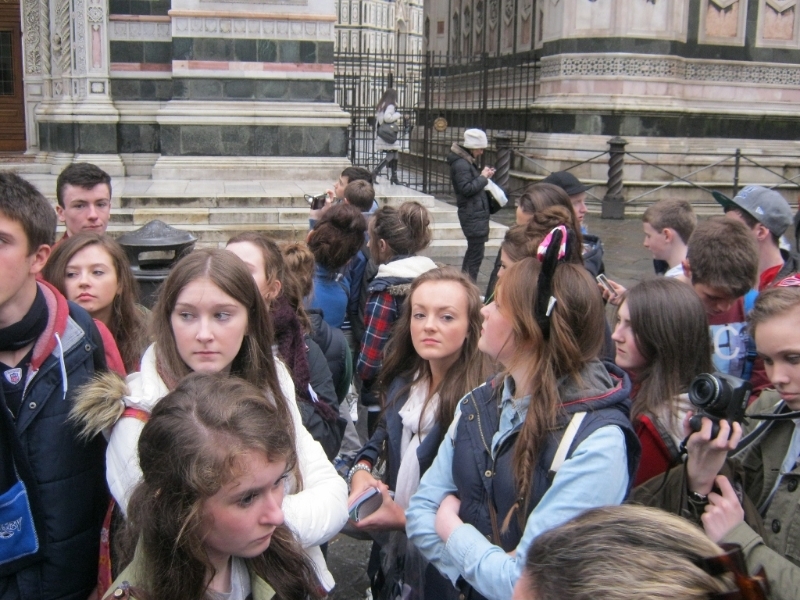 It was a brilliant success and thanks to all the TY students who attended! 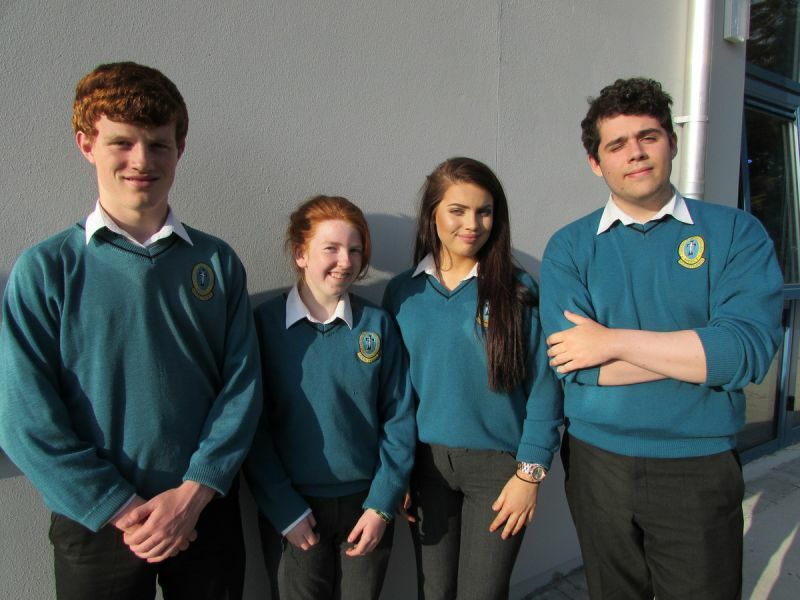 Launching in March 2014, a new newspaper by the TY Class of 4.3! 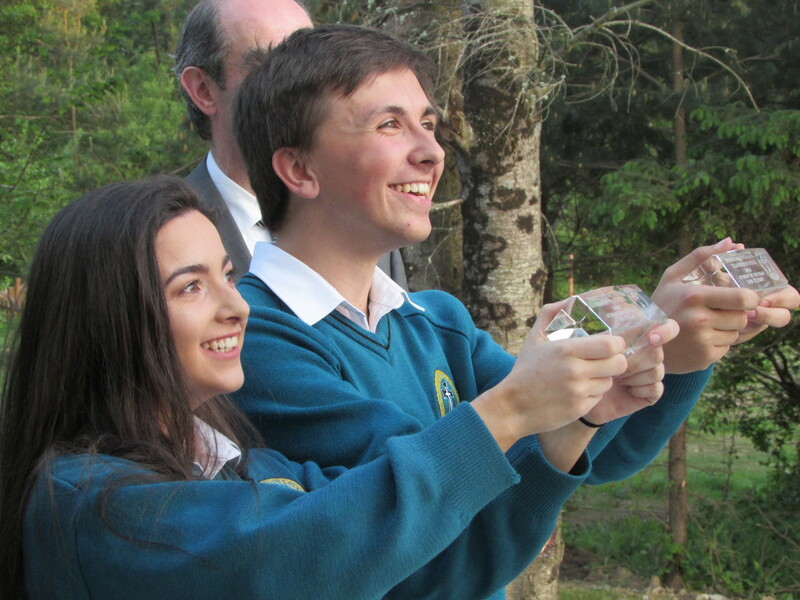 Hawk eye will chronicle our life and times in Mercy Mounthawk. 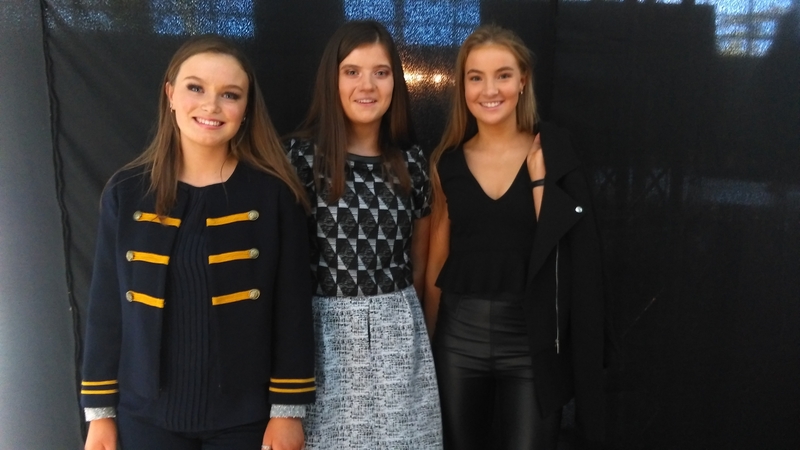 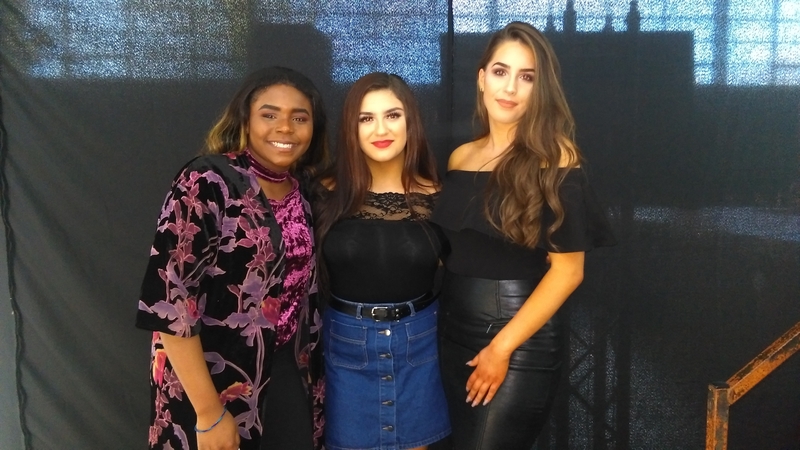 Fashion Show 2017 took place on 29th November with the them of Winter Wonderland and some fantastic style on show. 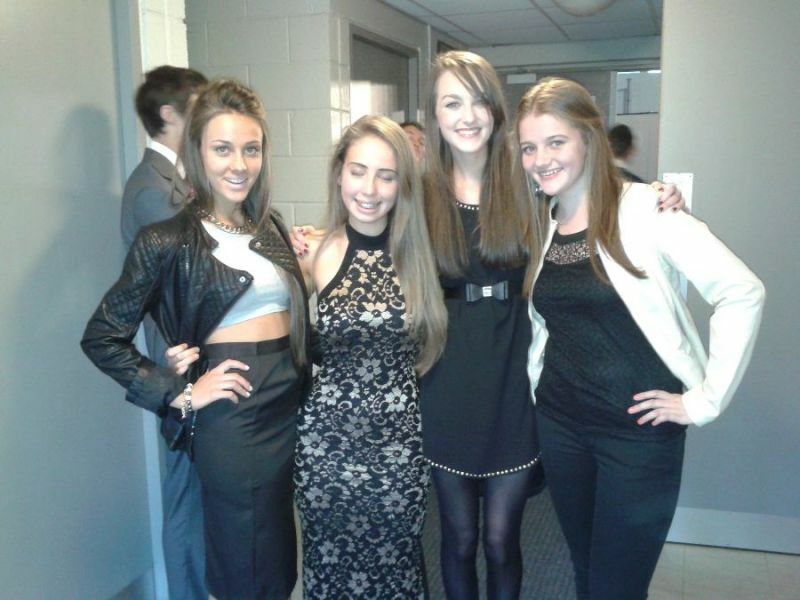 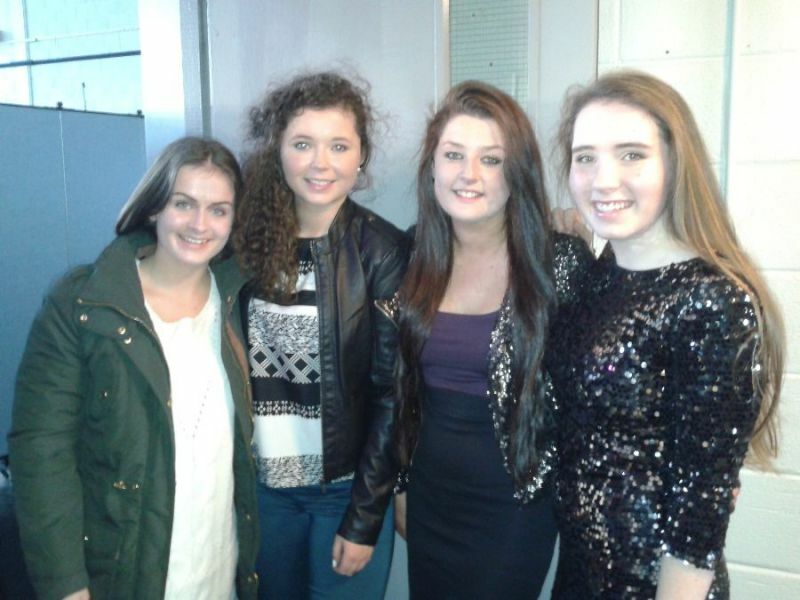 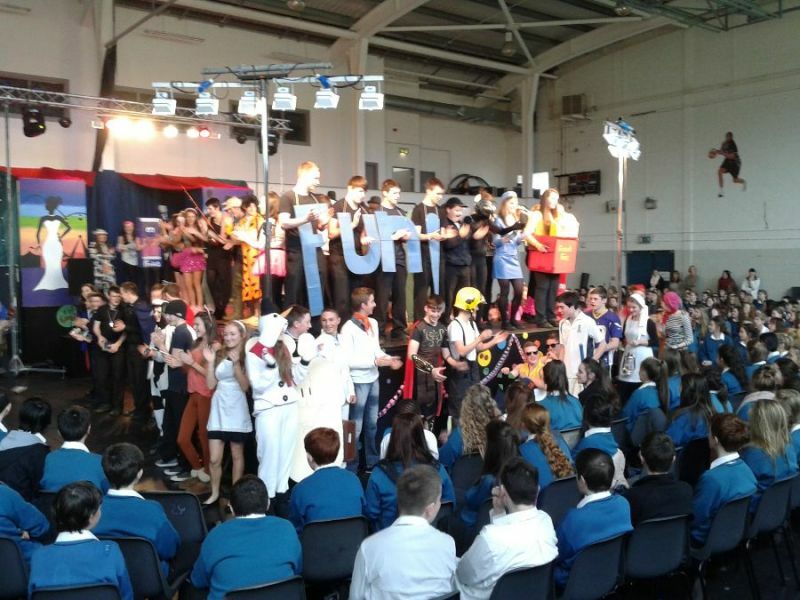 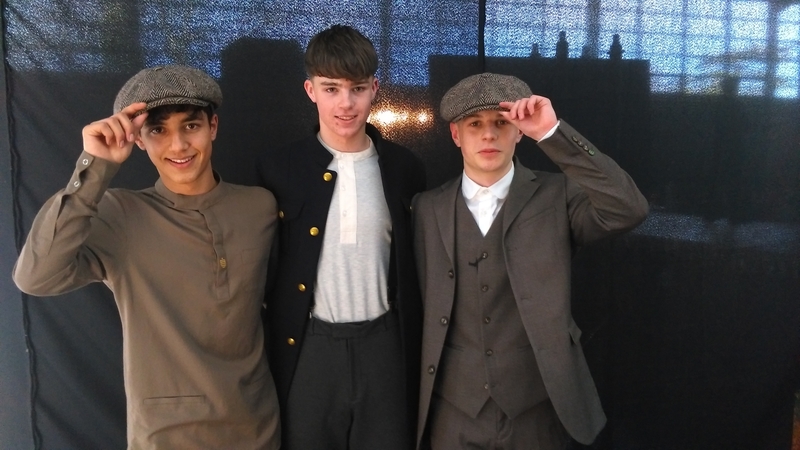 There was a matinee for 1st and 2nd years and the main event was the evening performance. 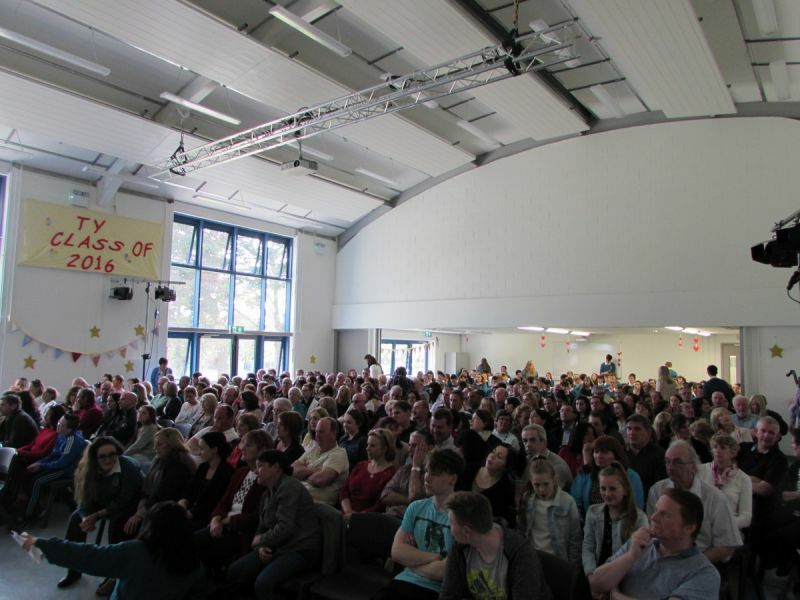 Around 650 people packed into the gym for the spectacle and they weren’t disappointed with a great show. 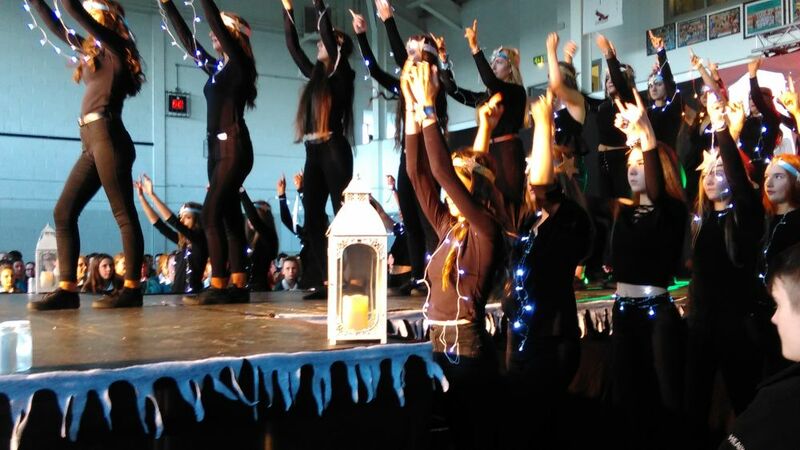 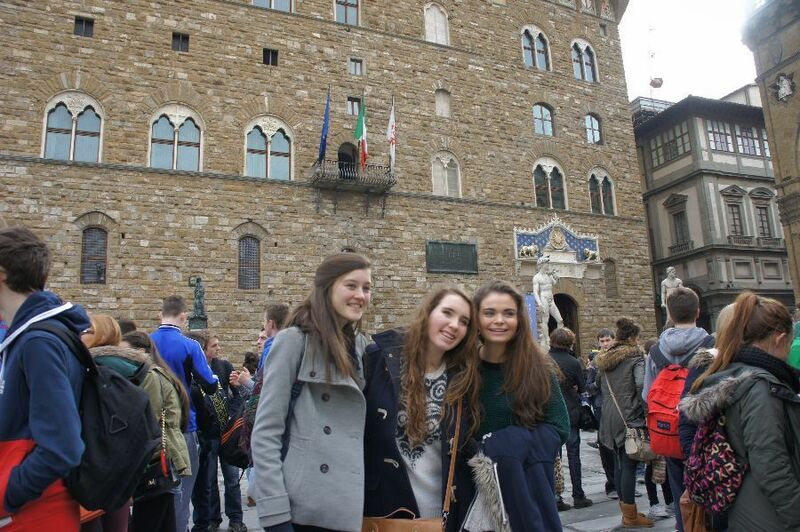 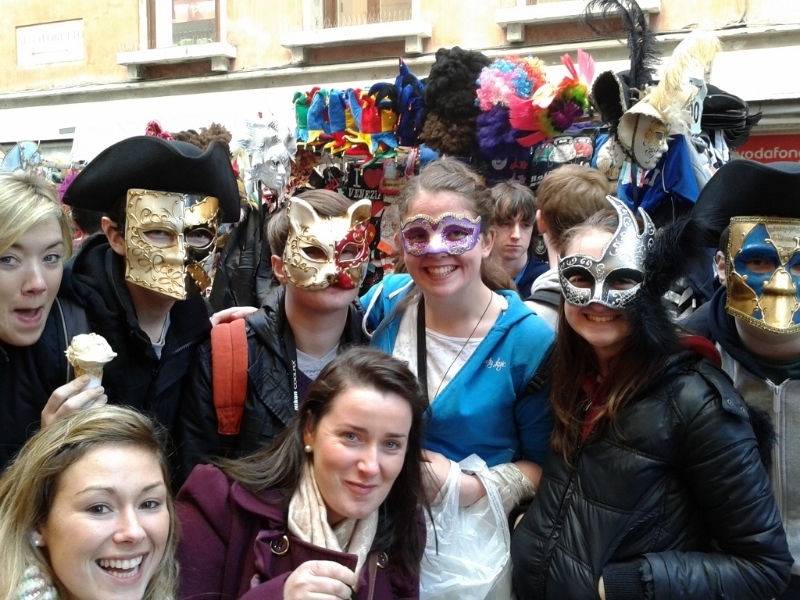 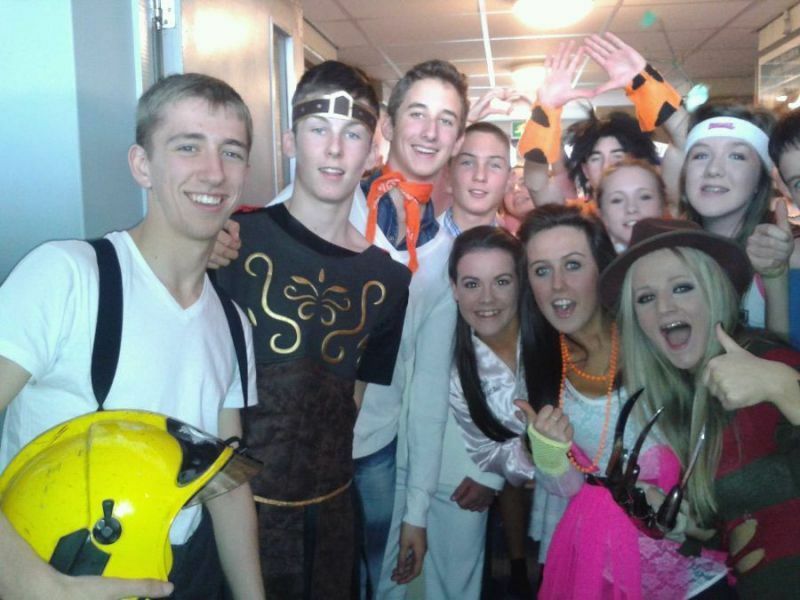 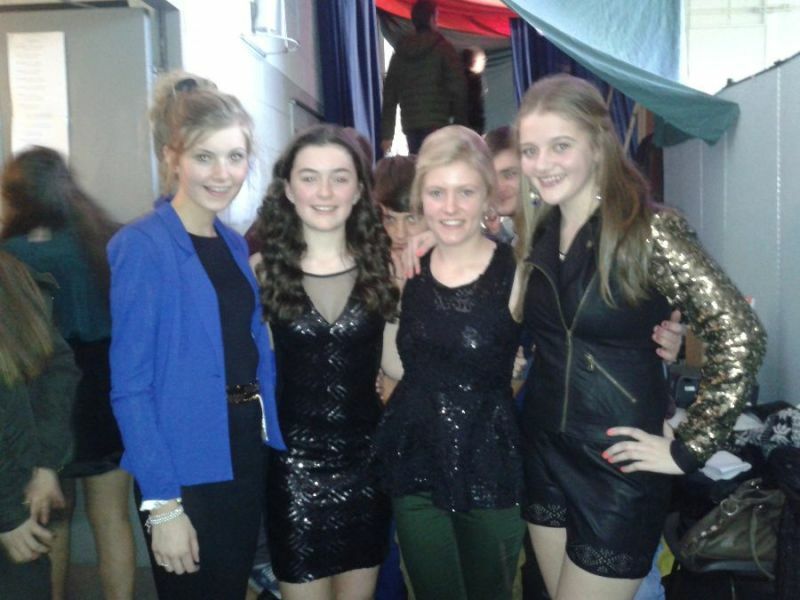 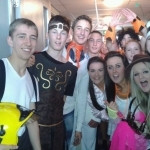 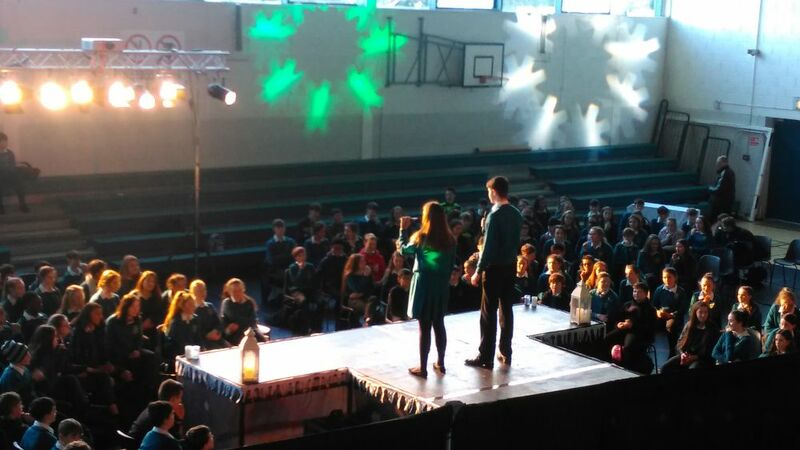 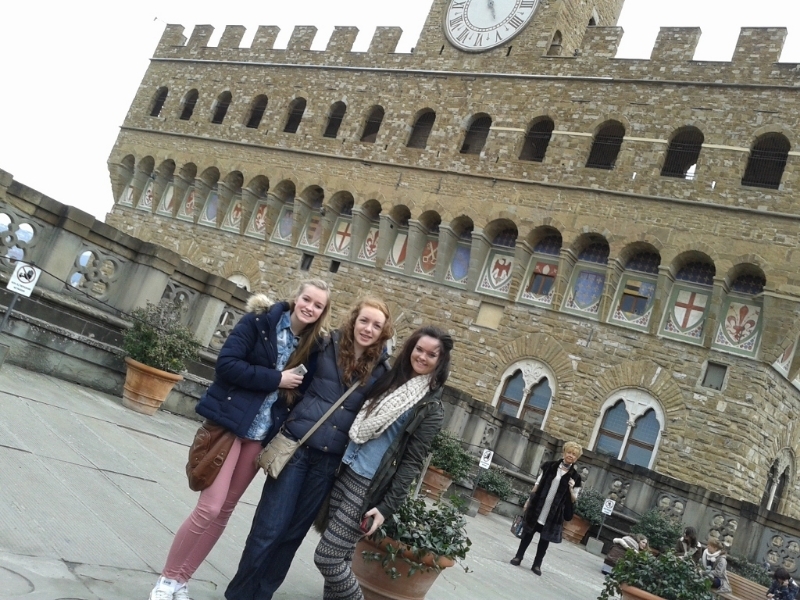 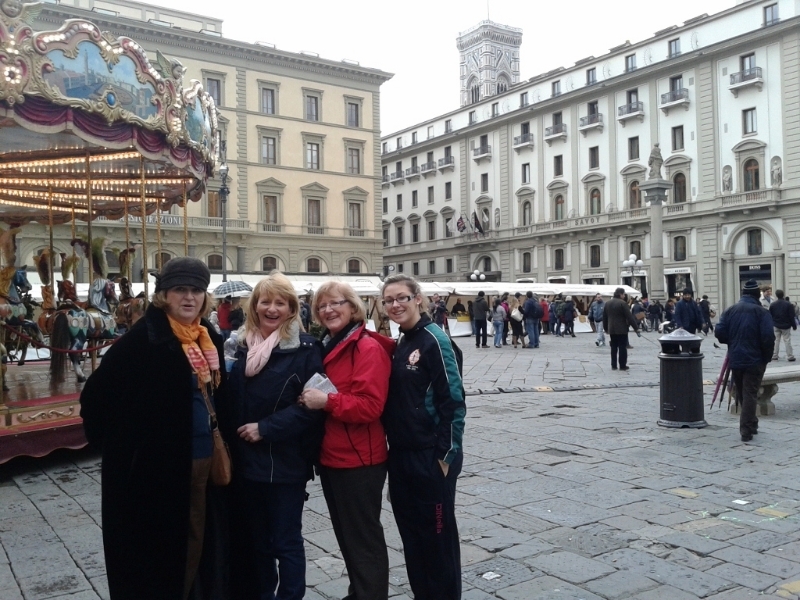 Great praise is due to the TY students who modeled so professionally and prepared the event in such detail. 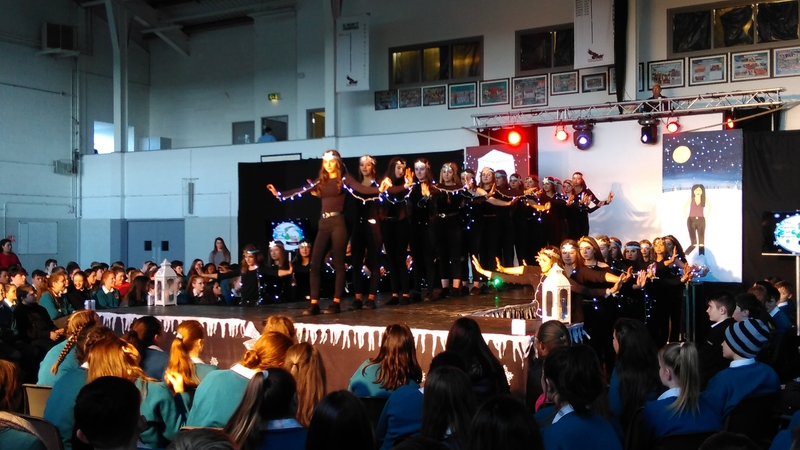 Even greater praise must go however, to the new team of teachers who took on this huge annual event so congratulations to Ms O’Leary and the team on a job superbly executed. 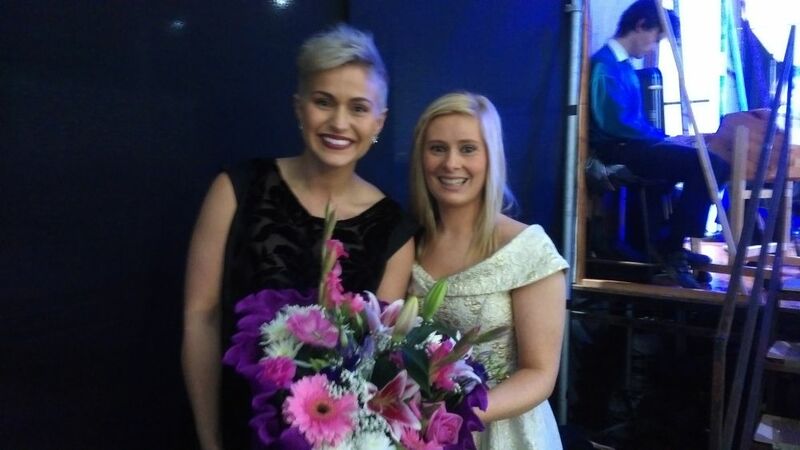 Special guest on the night was Maria Walsh, former Rose of Tralee, who awarded prizes for best-dressed ladies. 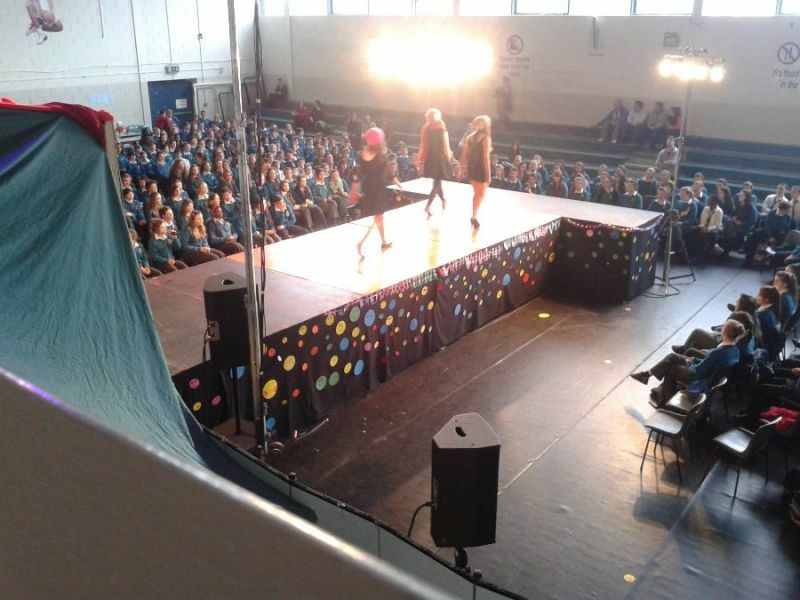 There was also a guest appearance from Michael Healy Rae TD. 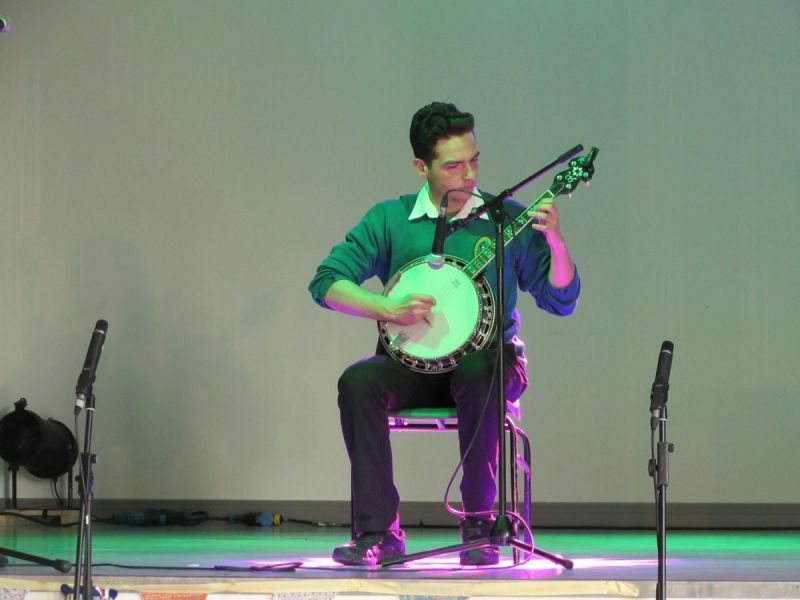 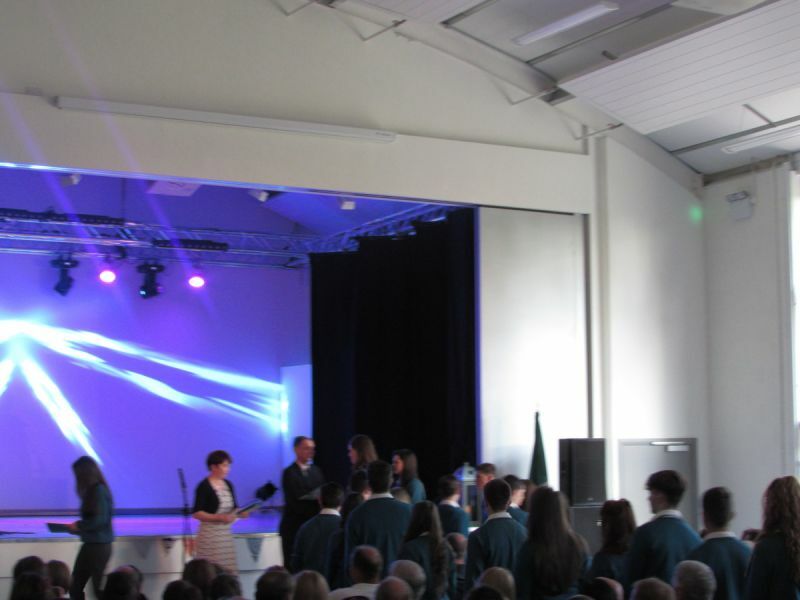 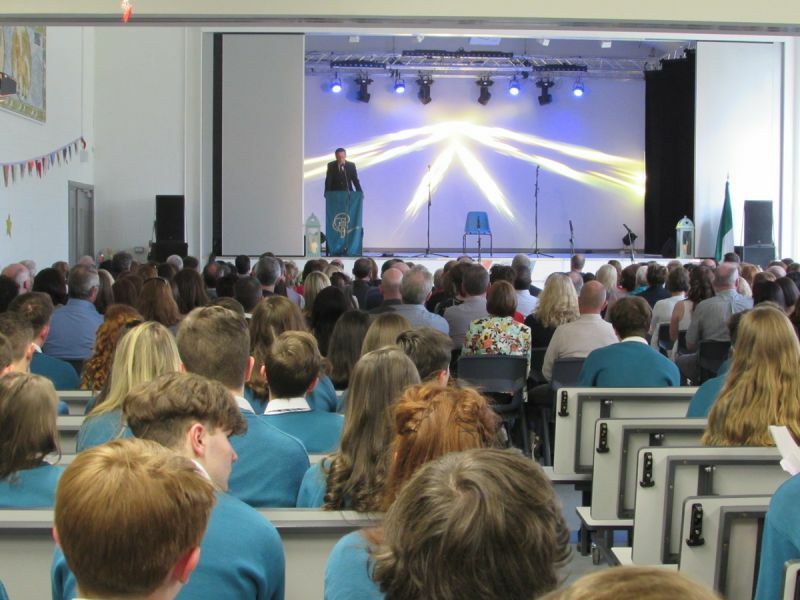 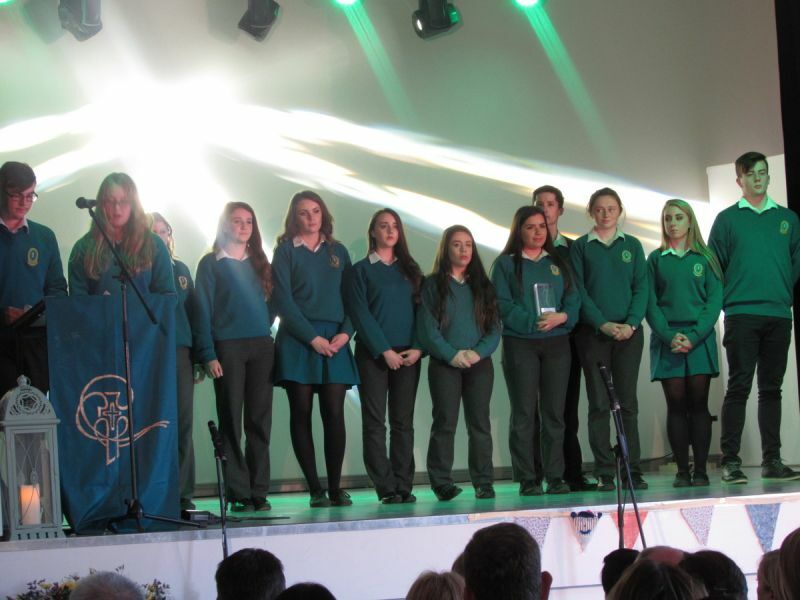 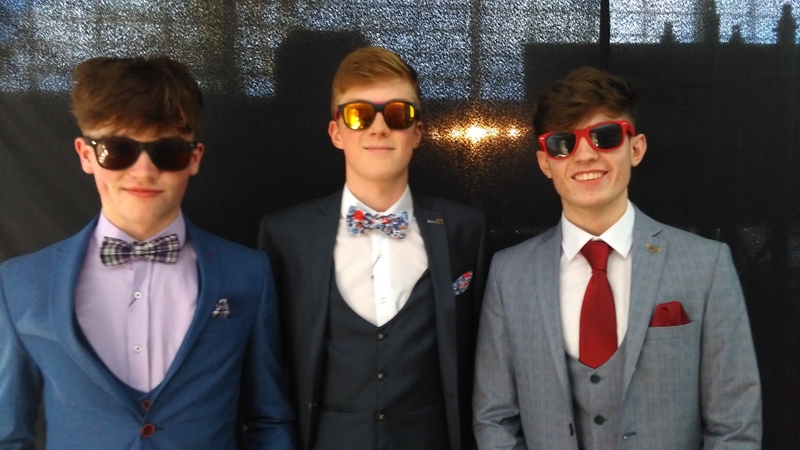 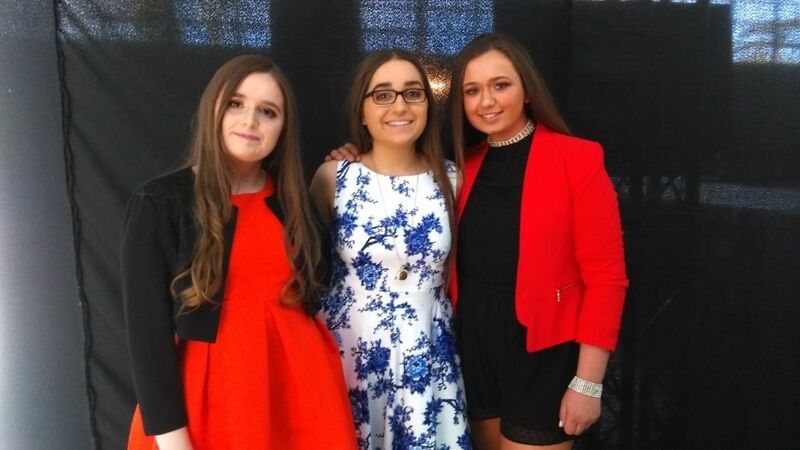 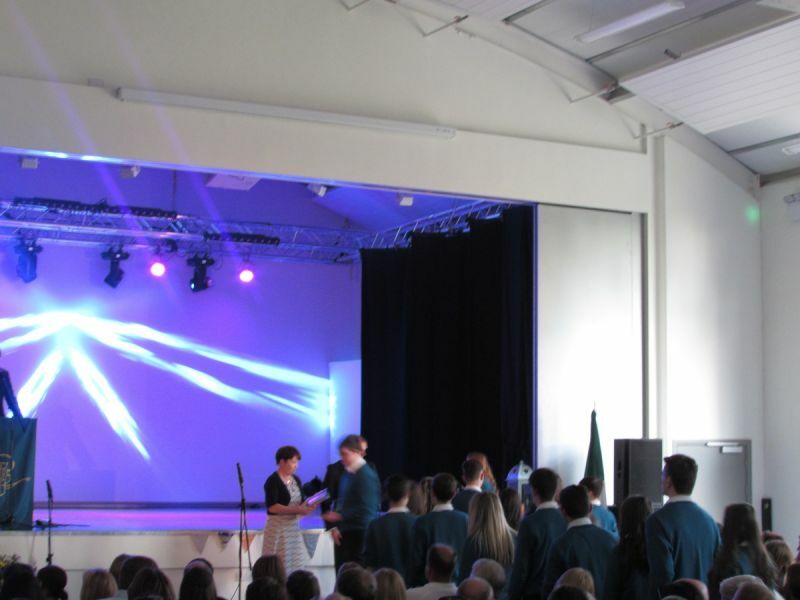 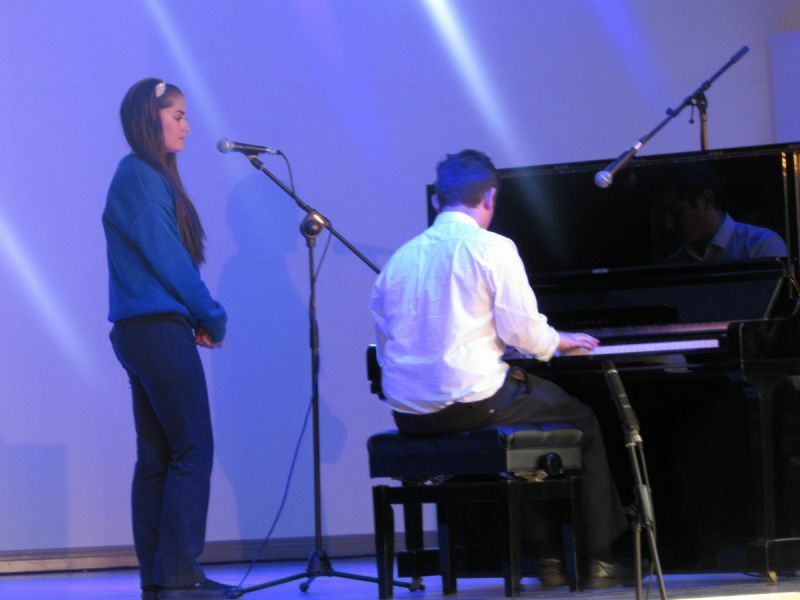 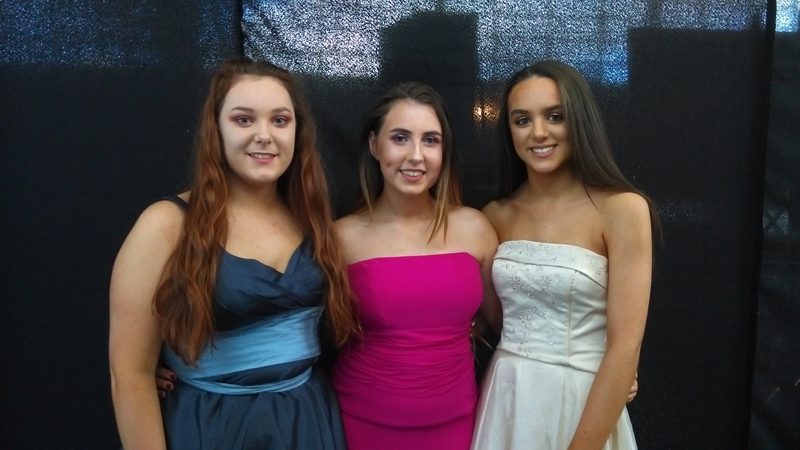 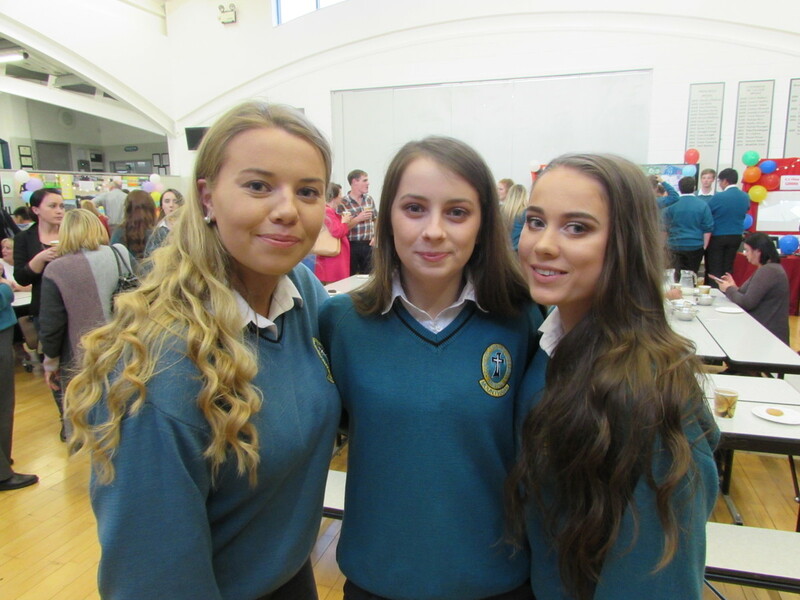 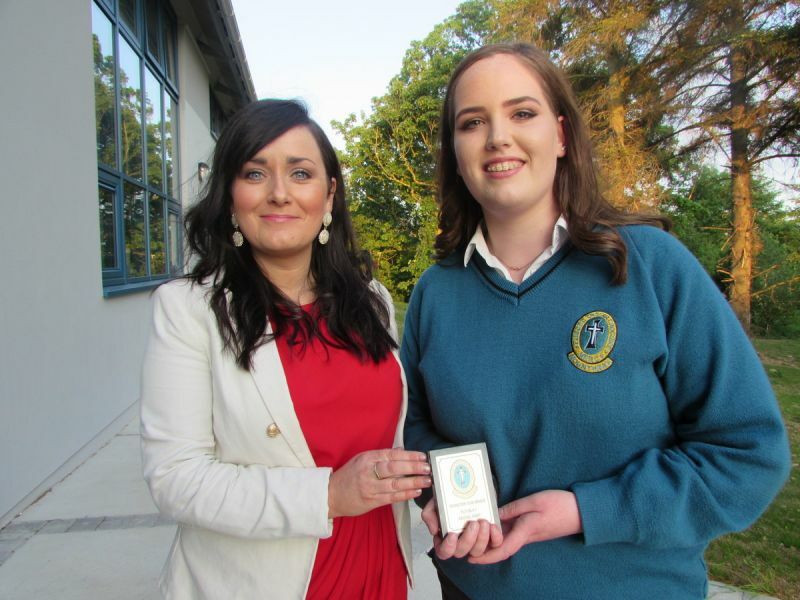 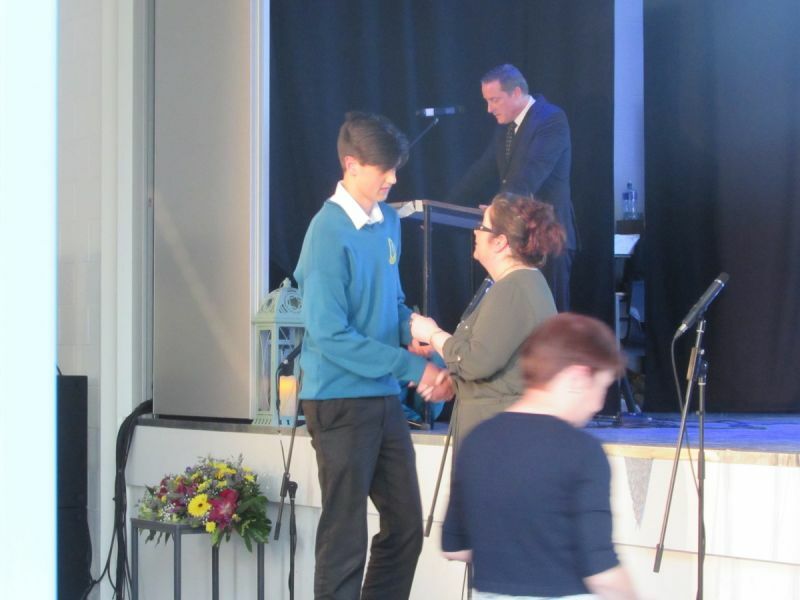 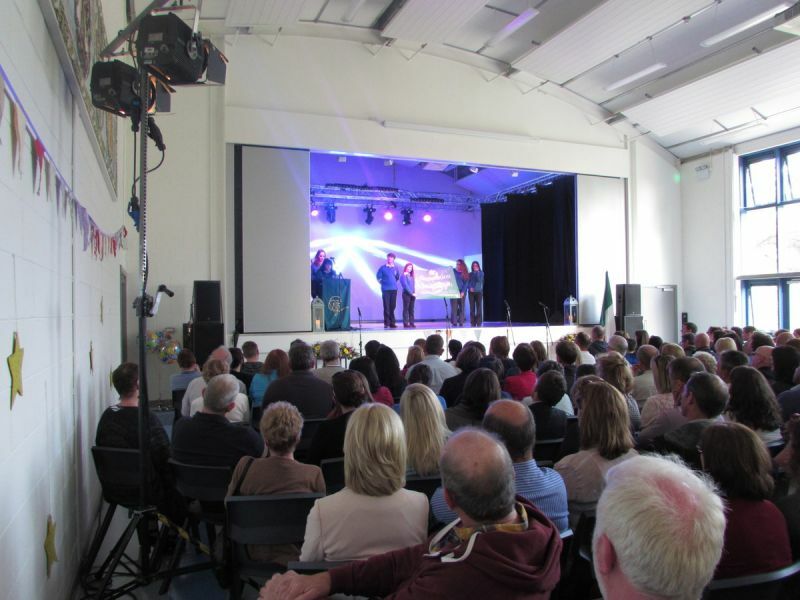 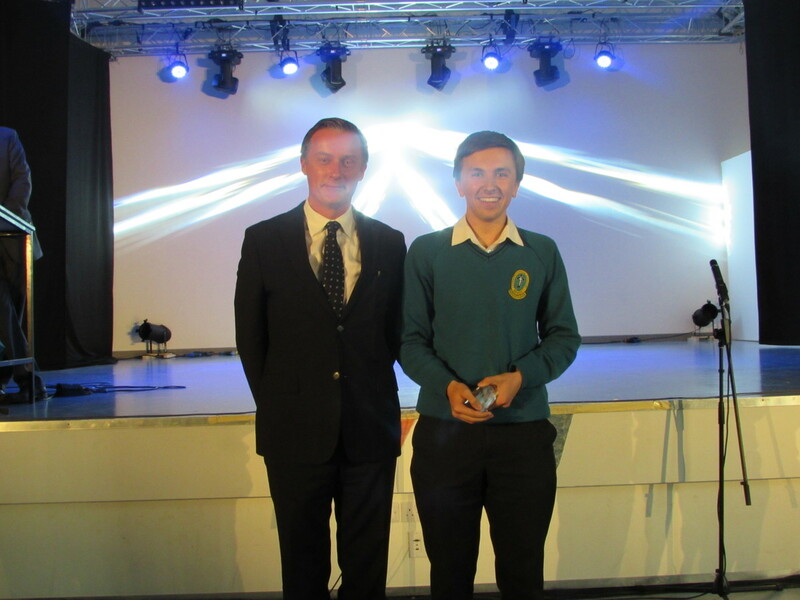 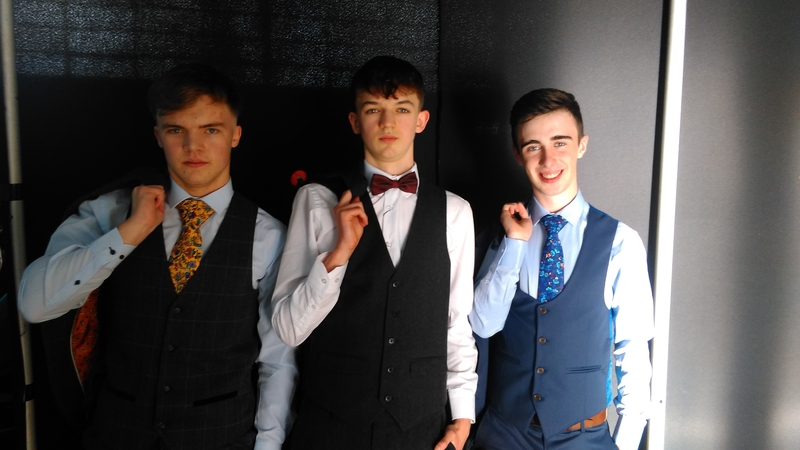 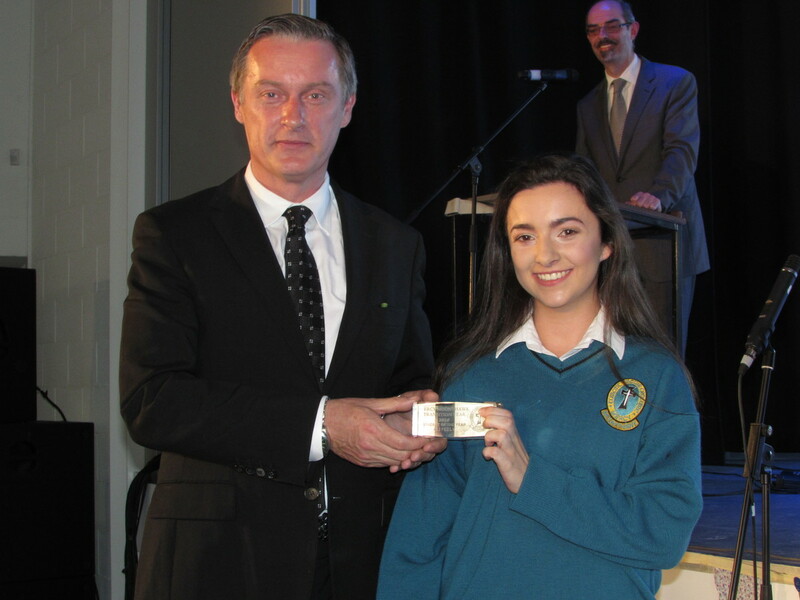 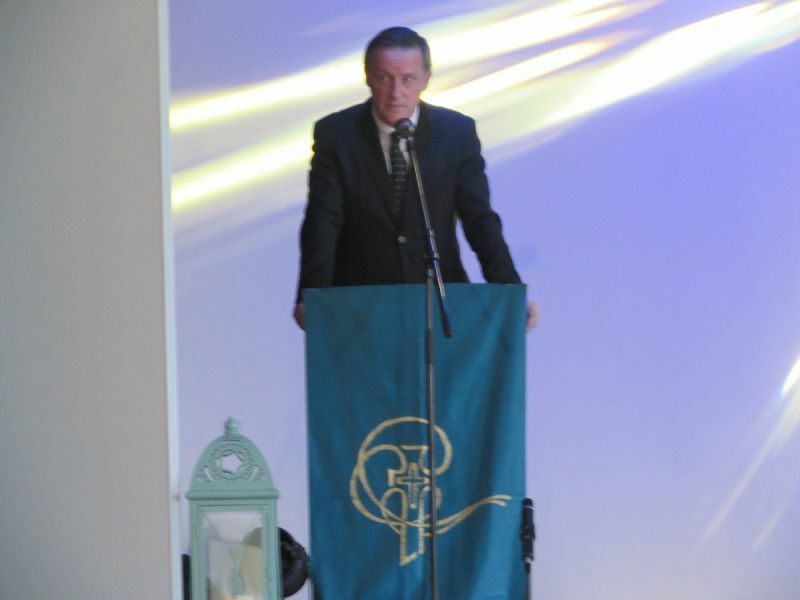 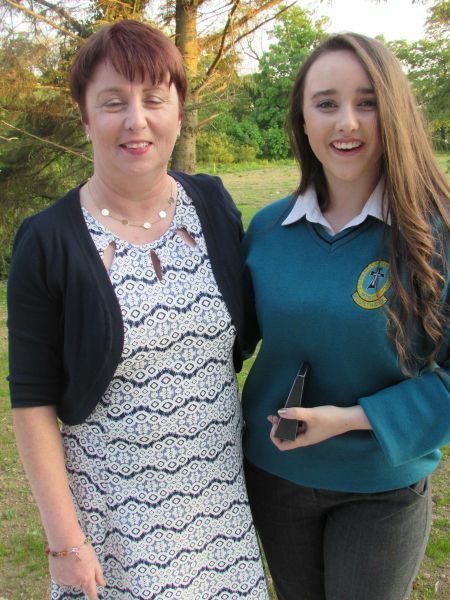 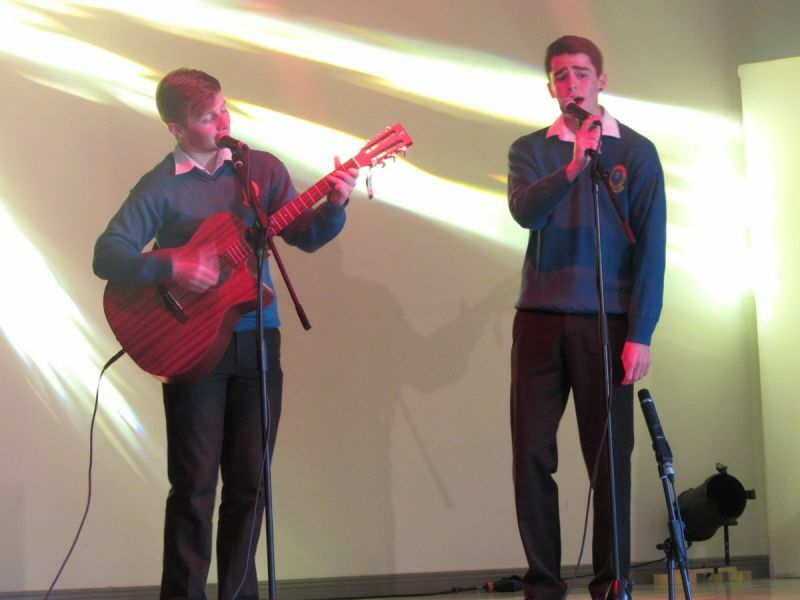 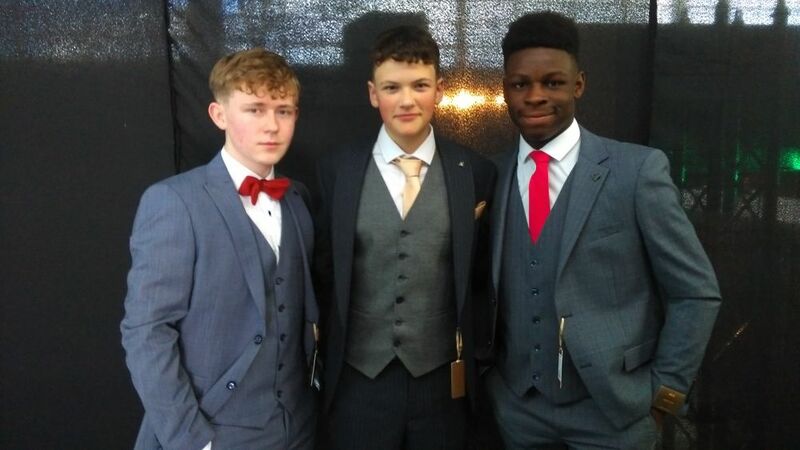 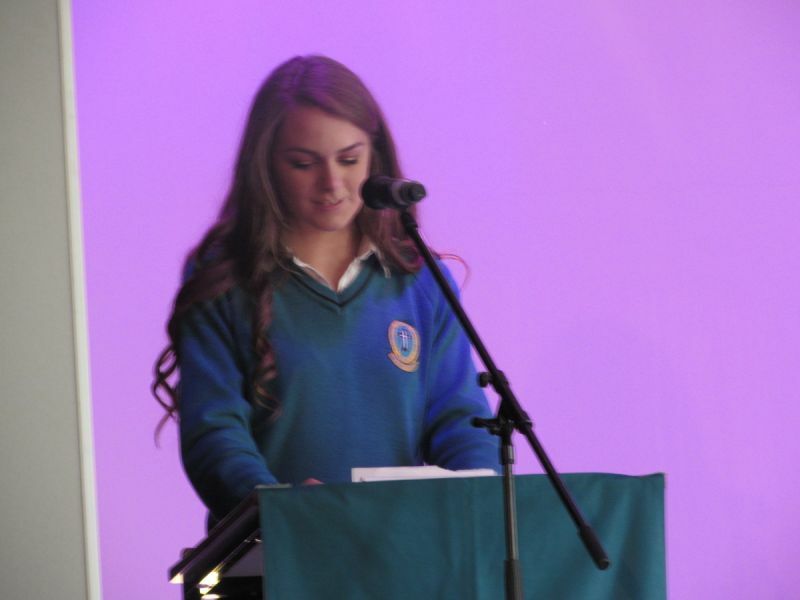 A great evening of awards and entertainment took place on Wednesday 25th May with the Transition Year Graduation evening. 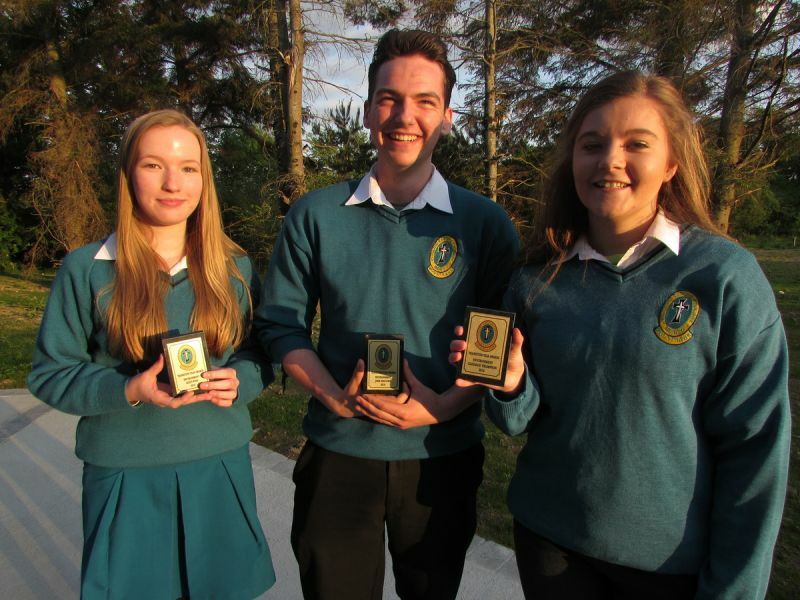 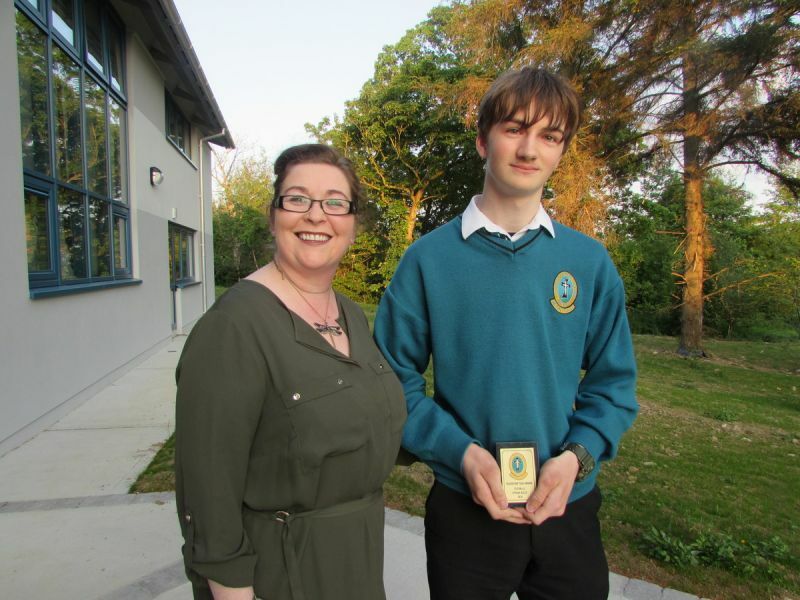 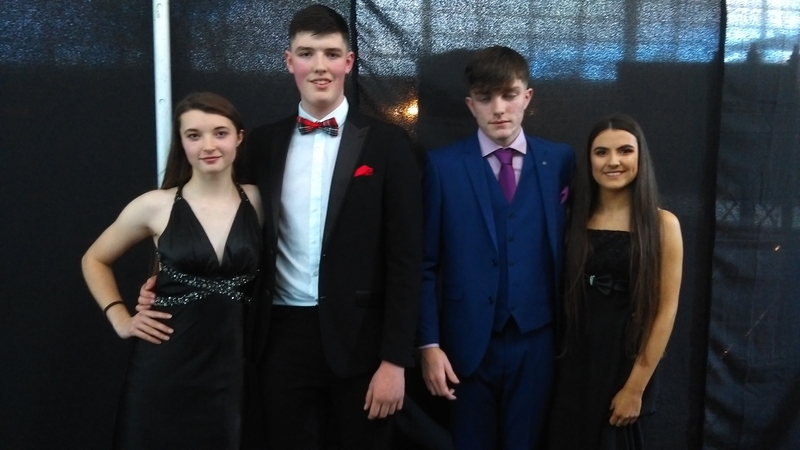 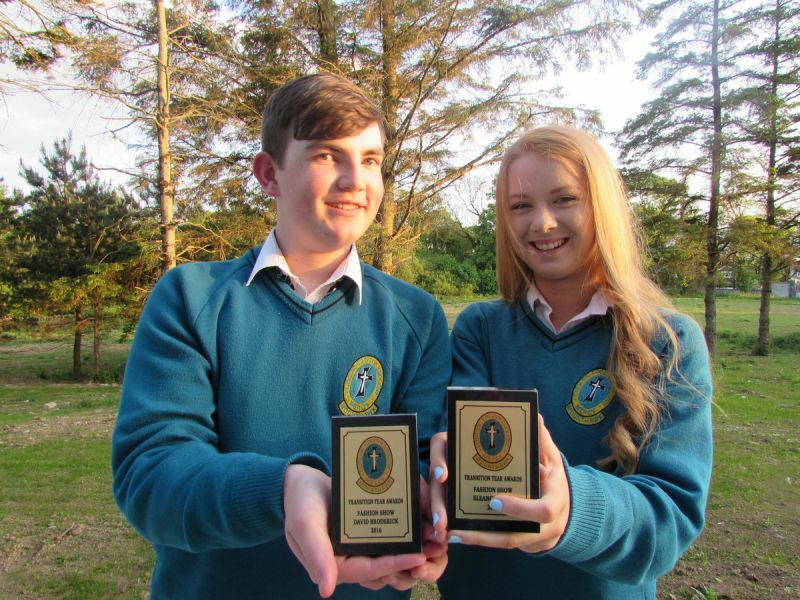 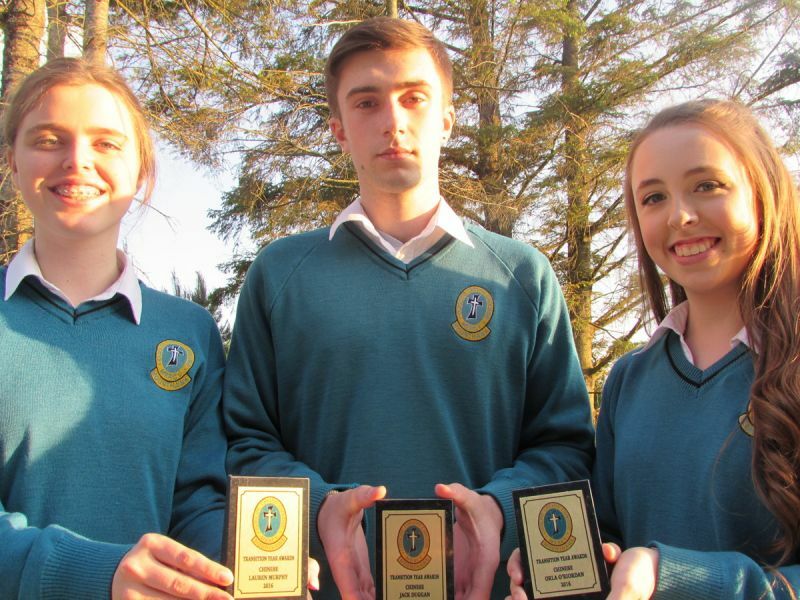 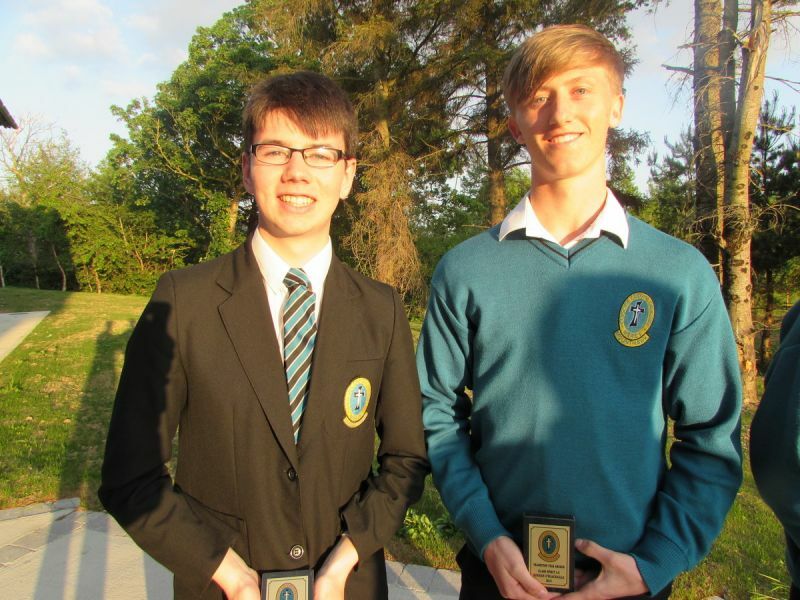 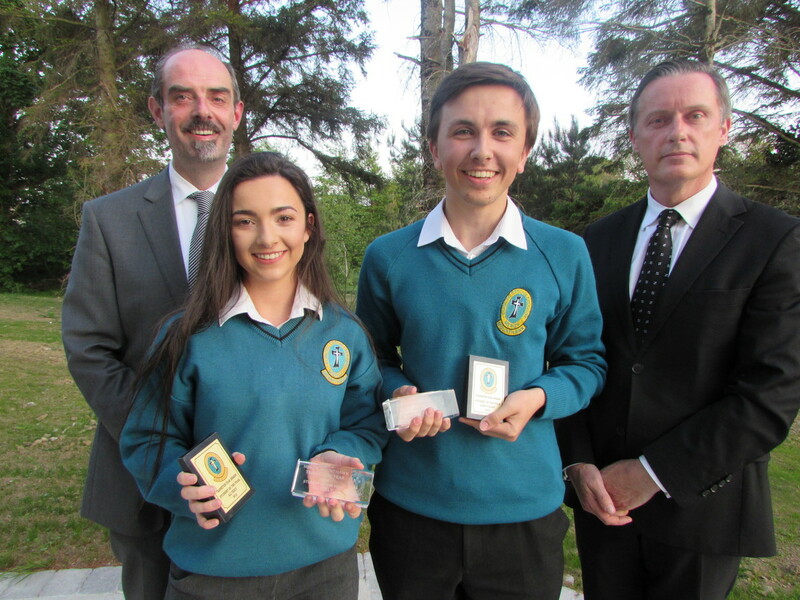 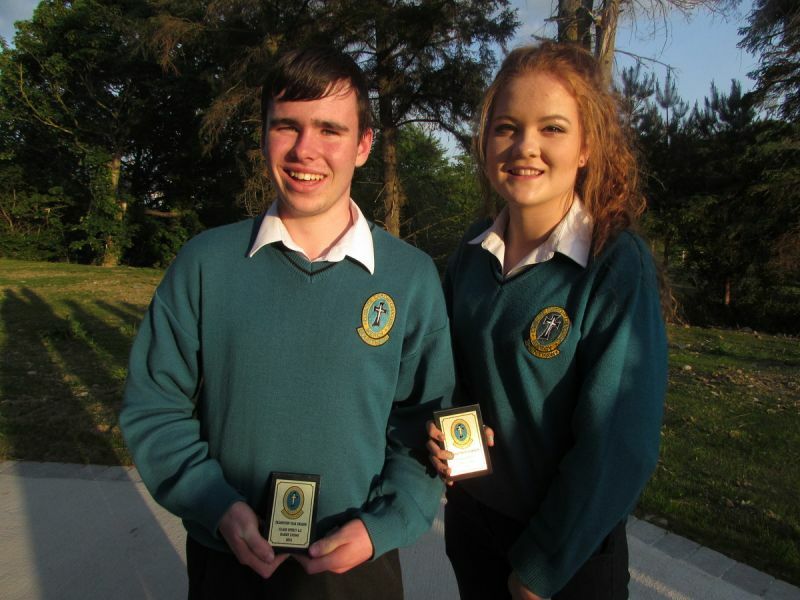 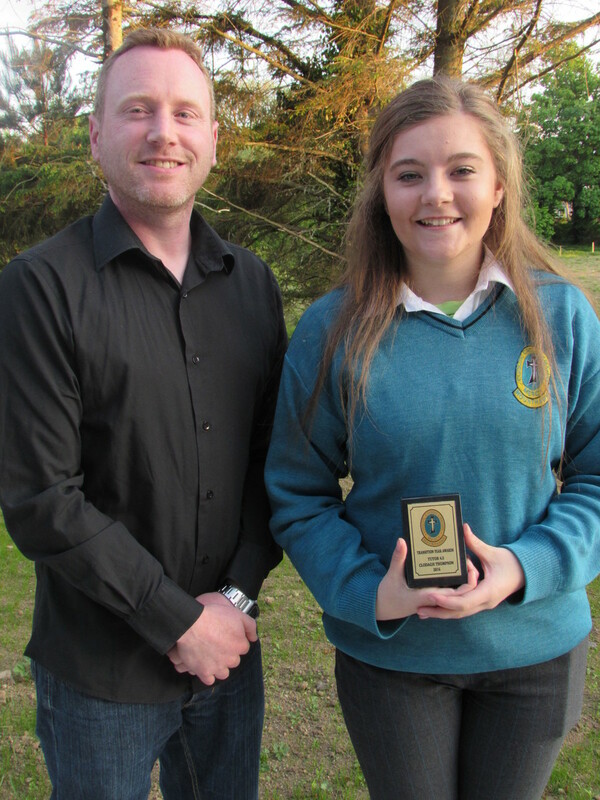 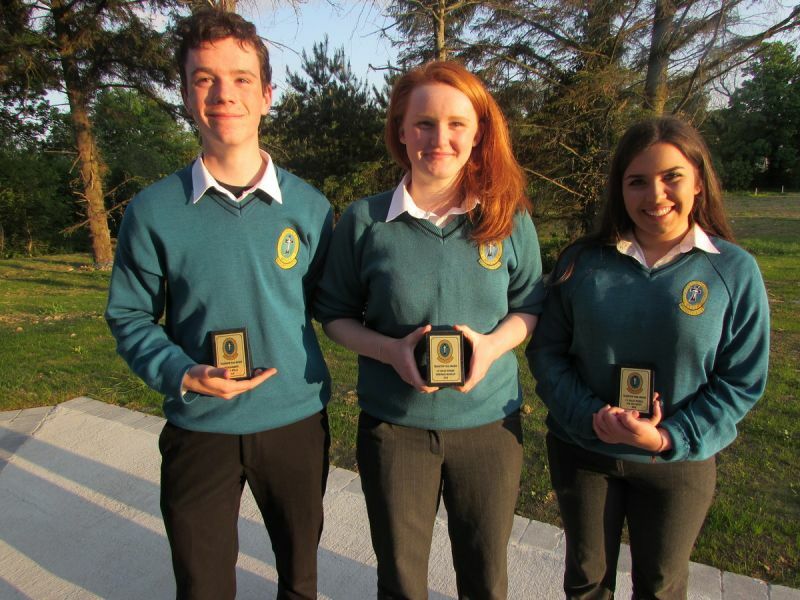 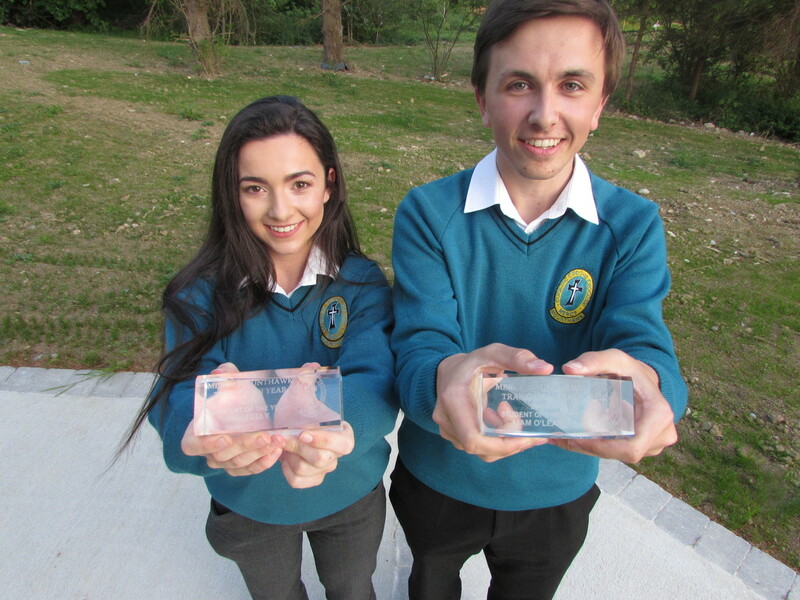 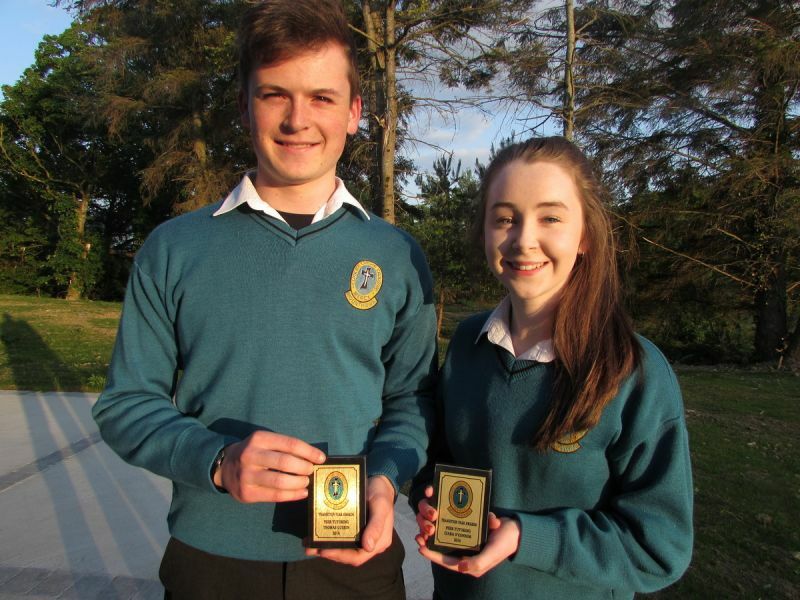 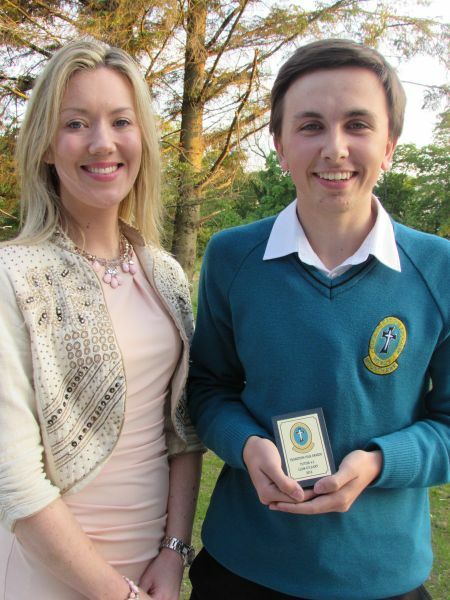 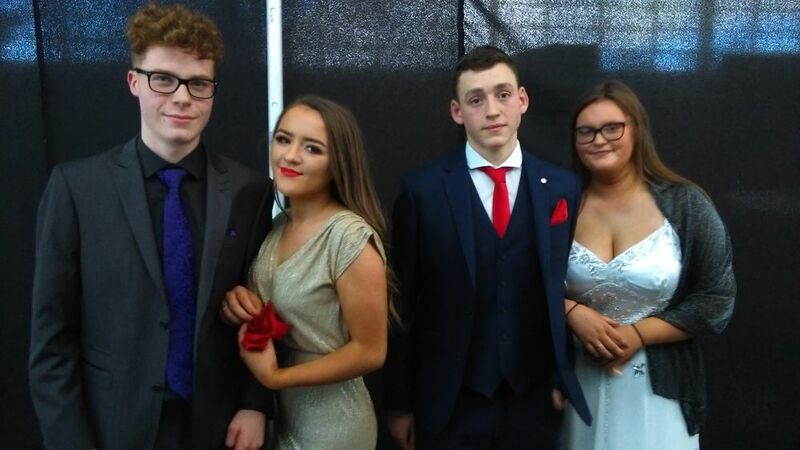 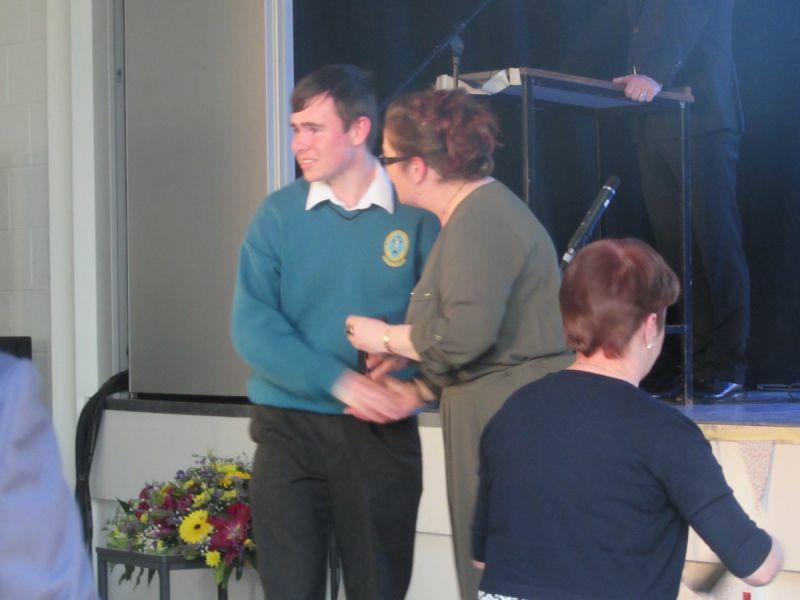 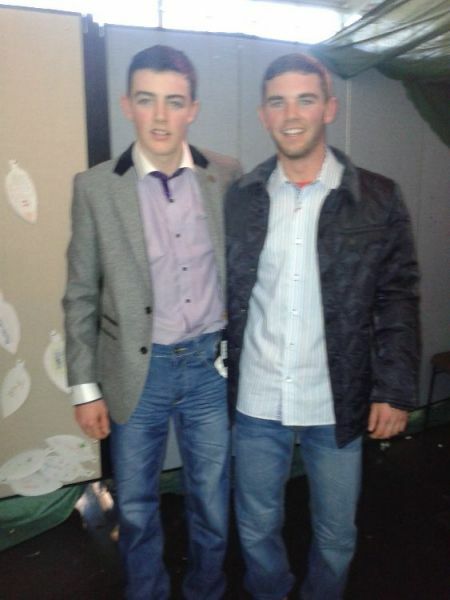 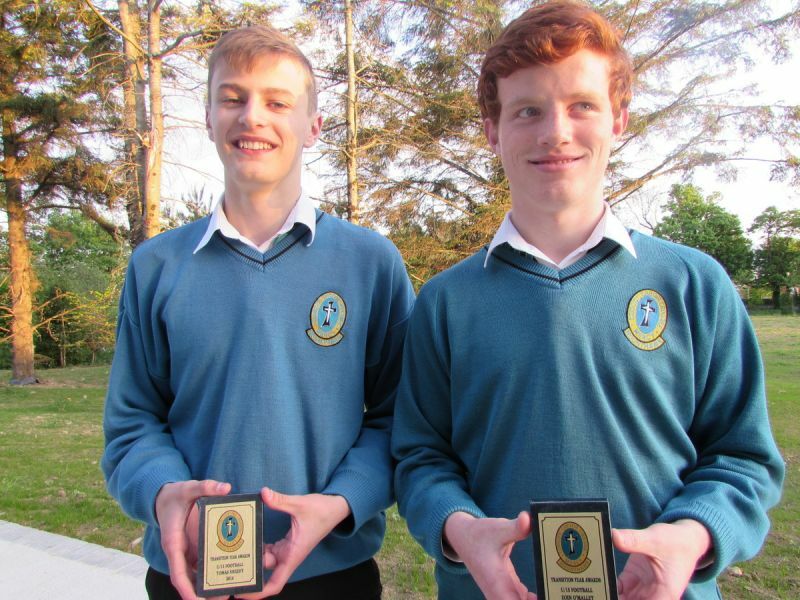 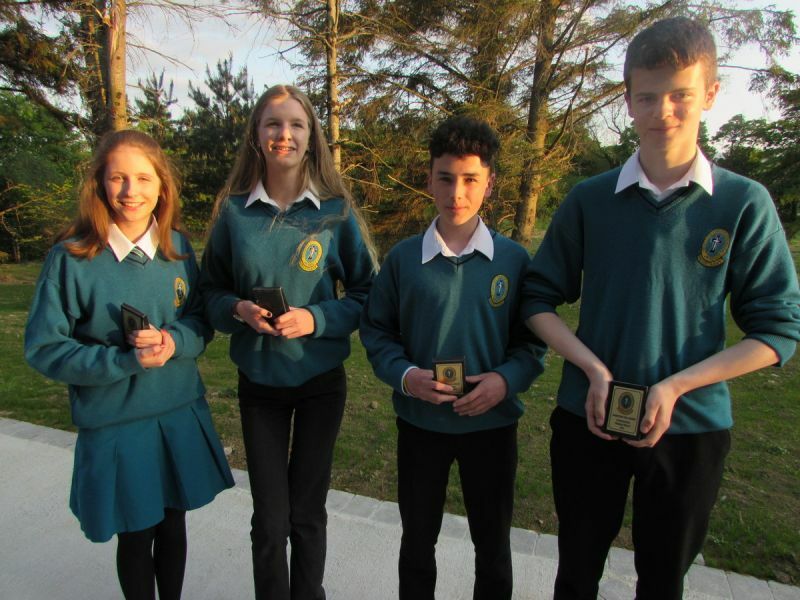 There were numerous awards given out on the night but the top male and female student awards went to Liam O’Leary and Ali Feely respectively. 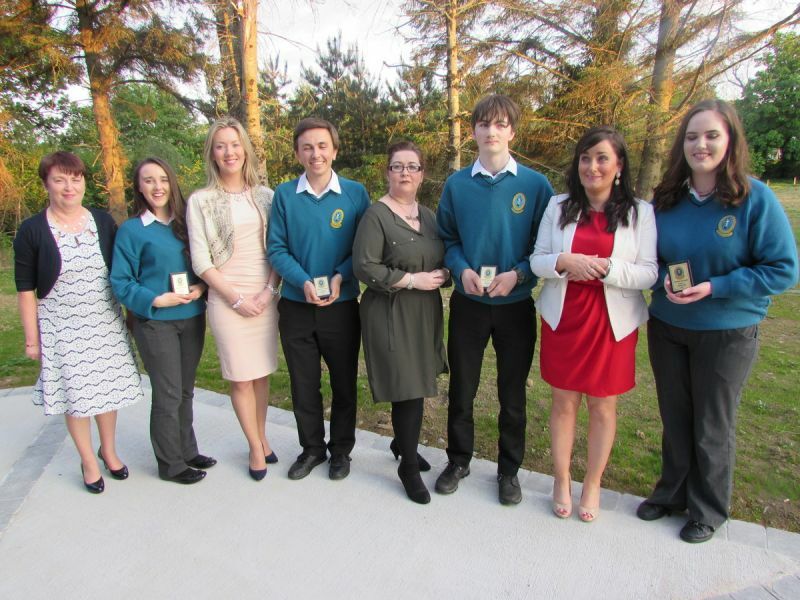 Well done to them and to all our winners. 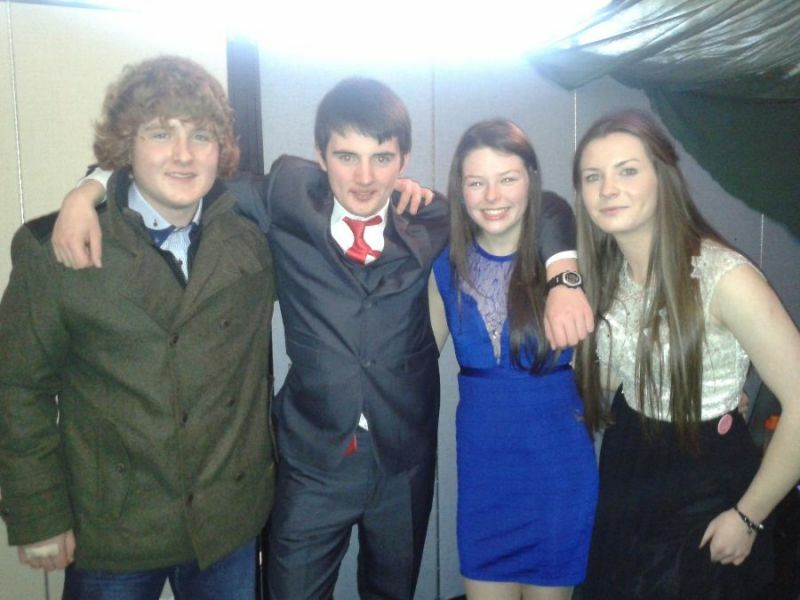 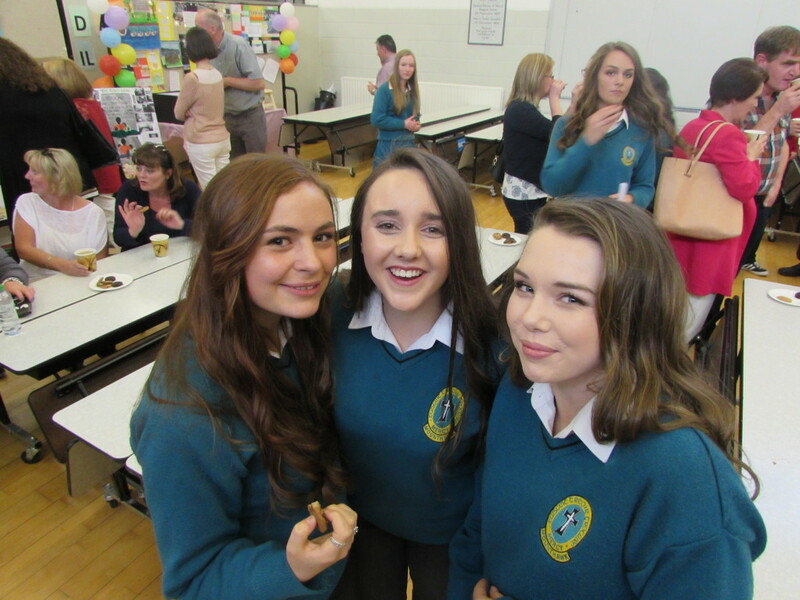 Congratulations to all the students on completing a very successful Transition Year. 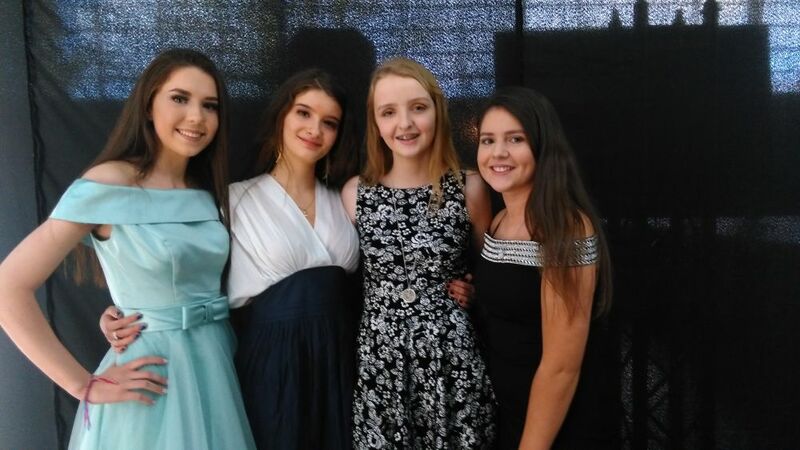 This video was put together by Ms. Hunt. 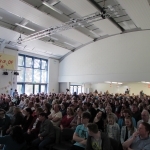 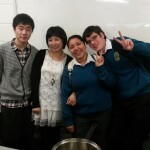 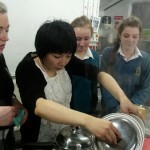 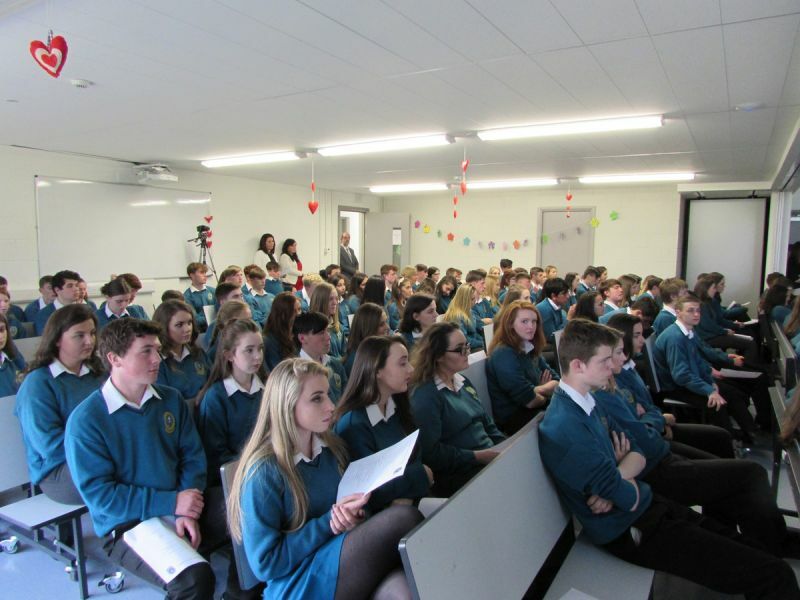 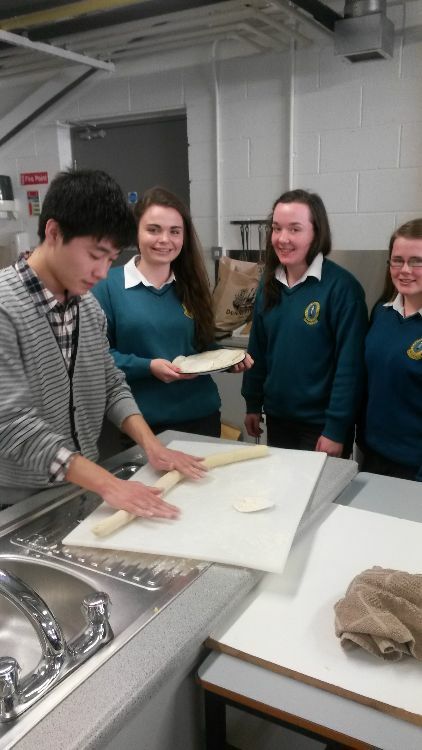 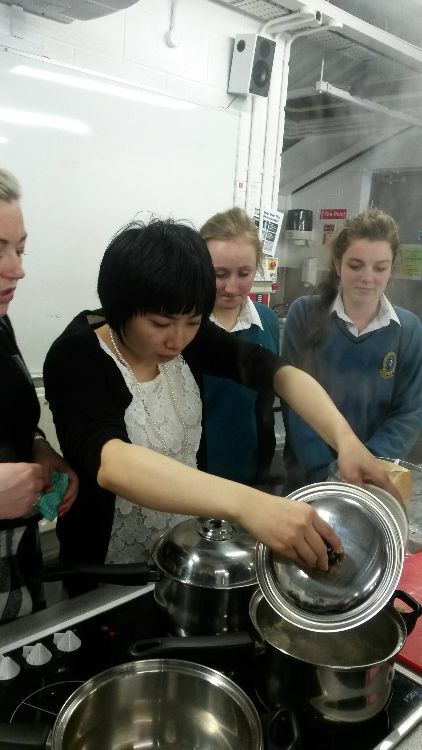 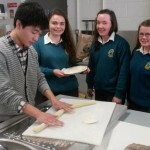 September 2012 saw the new Chinese Language and Culture Programme designed by The Confucius Institute, UCD, being rolled out to Transition Years at Mercy Mounthawk. 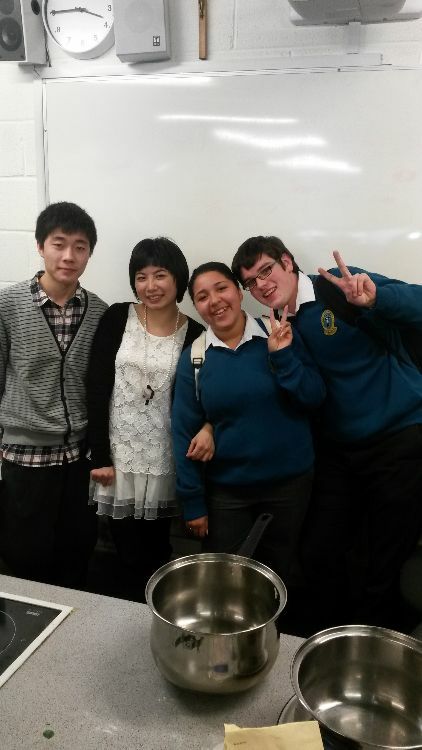 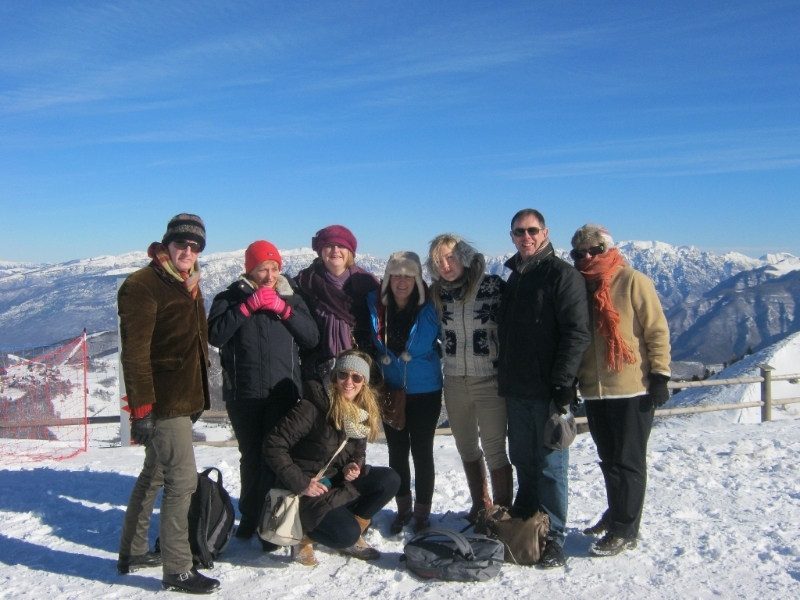 This excellent course combines a mixture of language learning, cultural studies, student based projects and is rounded off with a Chinese Oral Exam and a very tasty meal in a local Chinese restaurant. 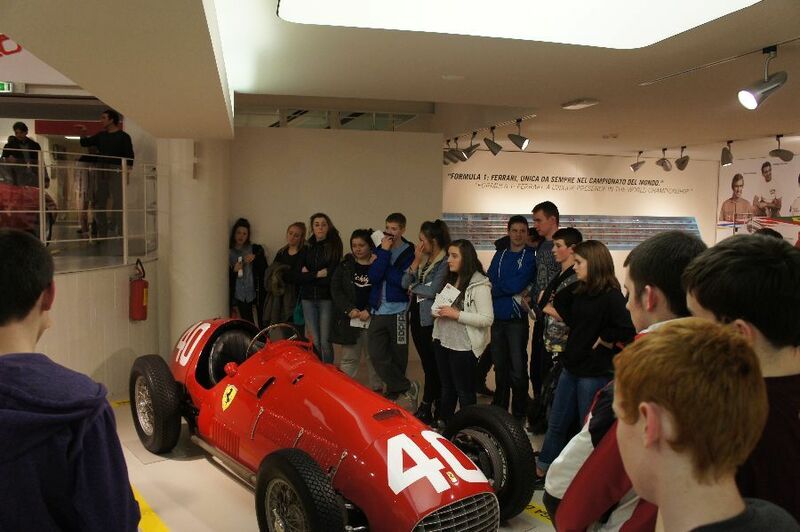 It has certainly proven to be a thoroughly educational, diverse, enjoyable and popular course for TY students as it was eagerly chosen by many! 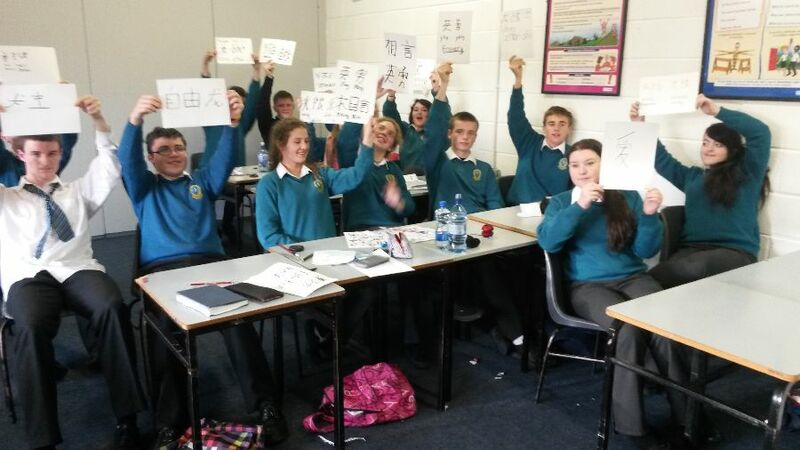 The excellent opportunity of an introduction to the most spoken language in the world did not go unnoticed as students expressed their keen interest in continuing Chinese studies in the future, mentioning the business and economic possibilities involved! 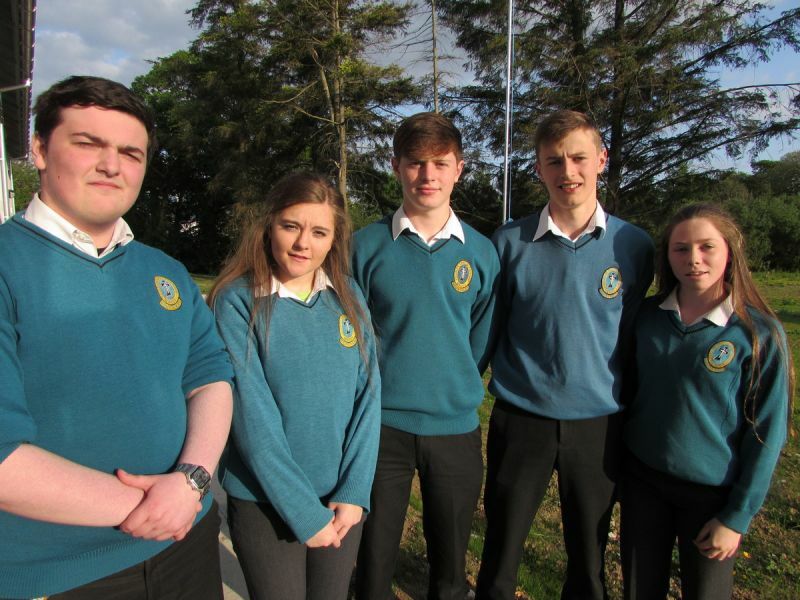 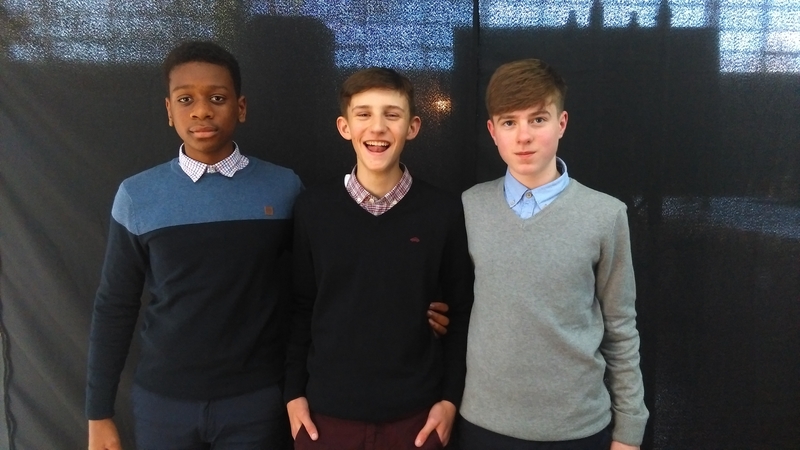 Below is a video our LCA students produced looking at health promotion in the school. 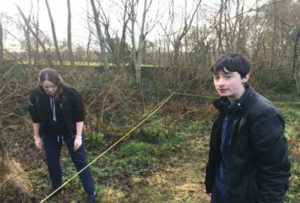 It was filmed on the day of the school 5k run.